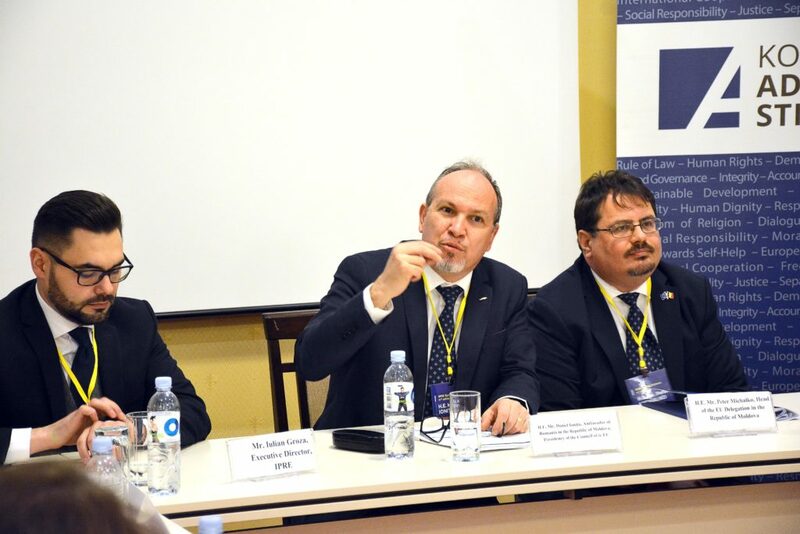 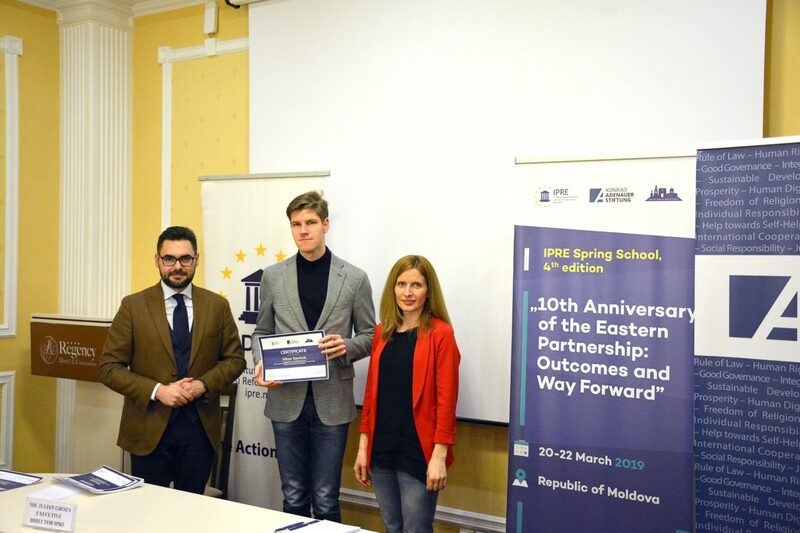 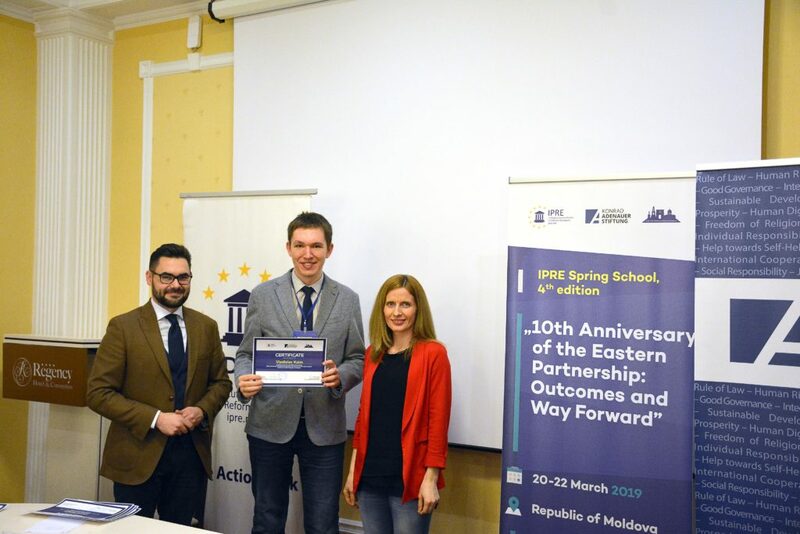 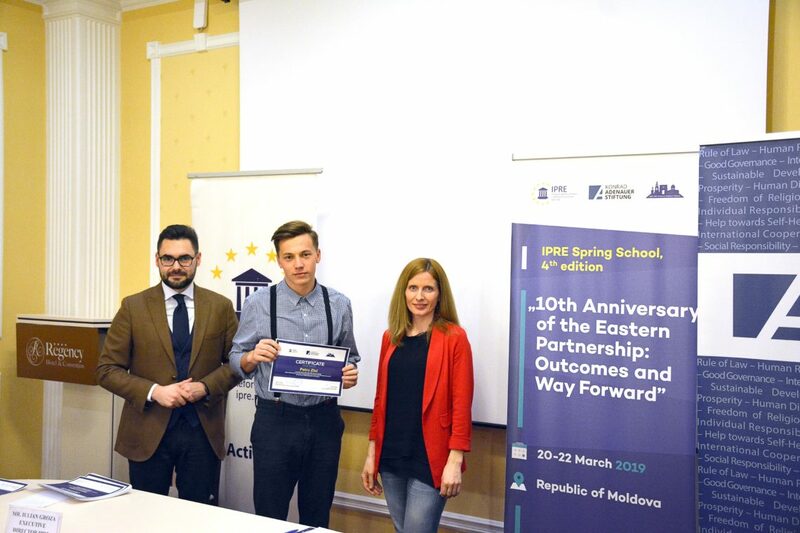 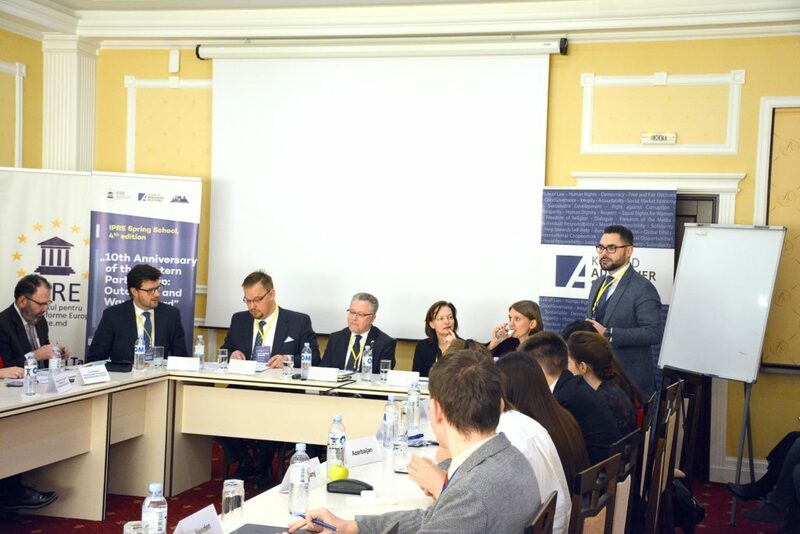 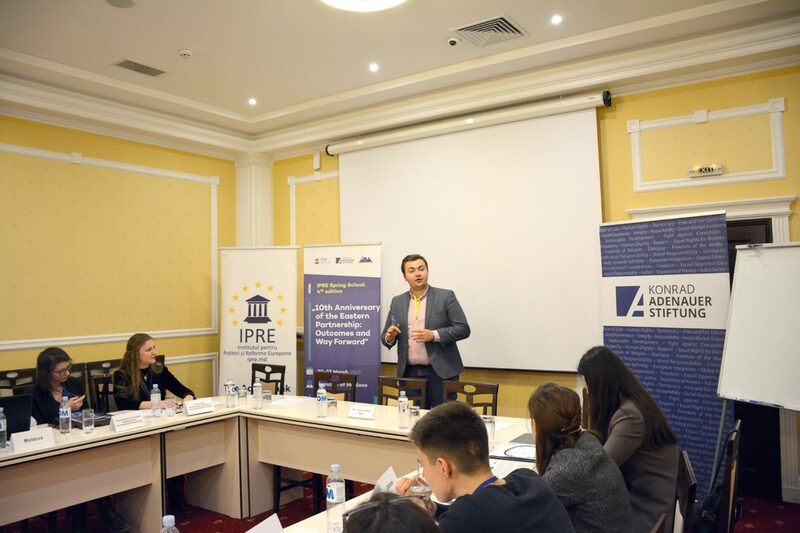 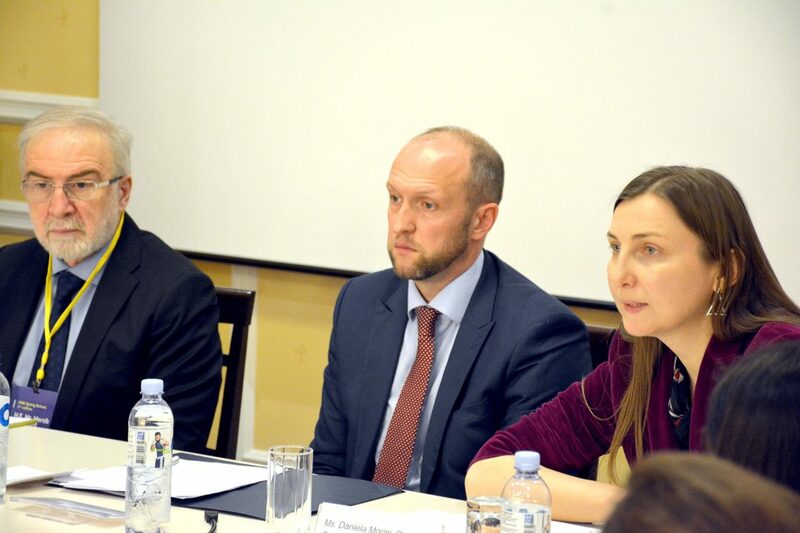 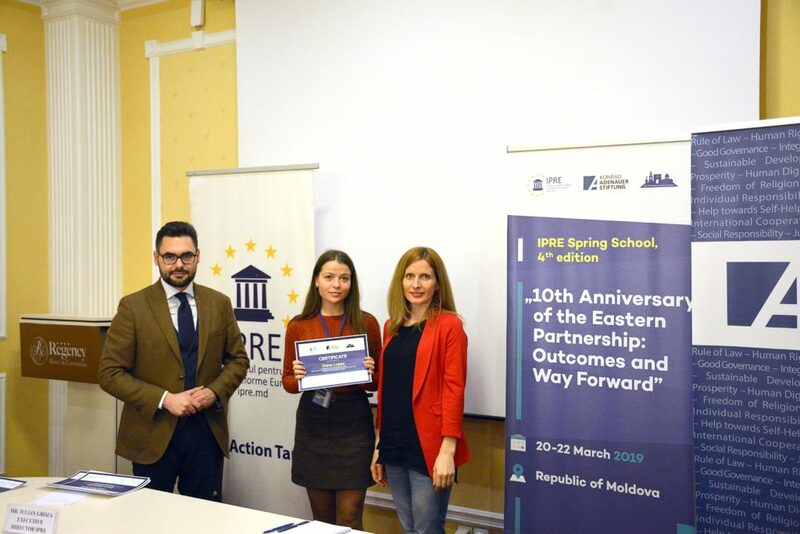 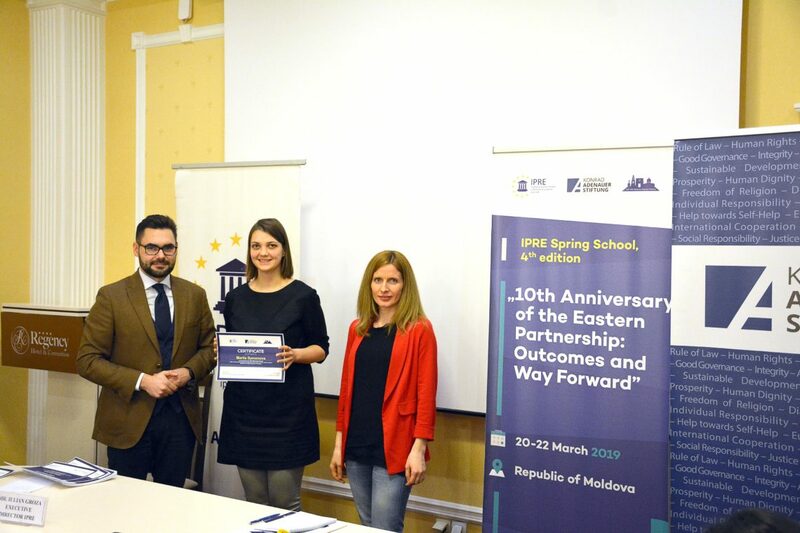 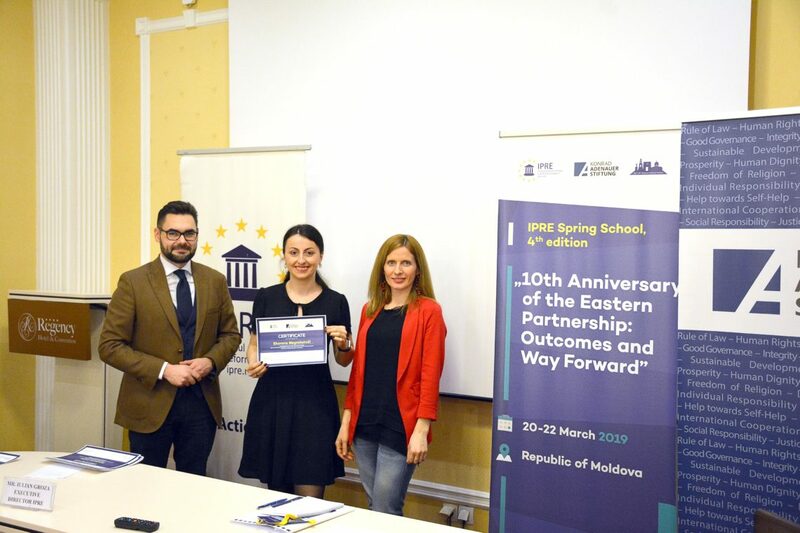 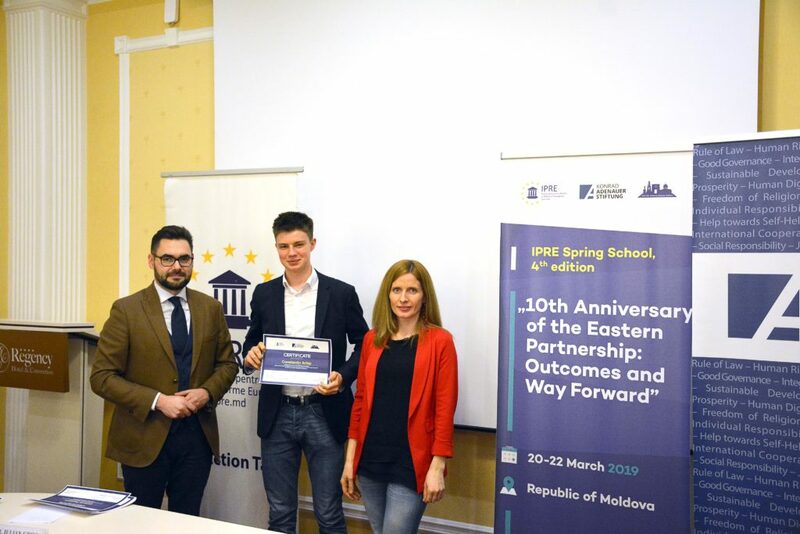 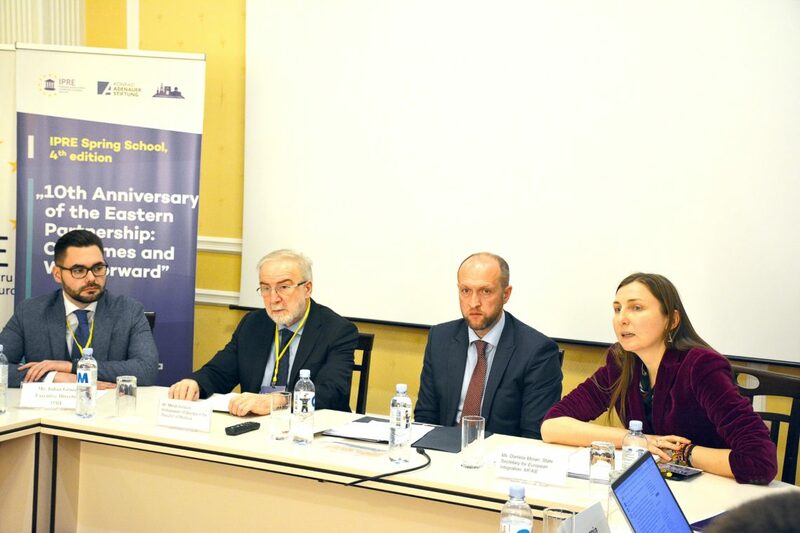 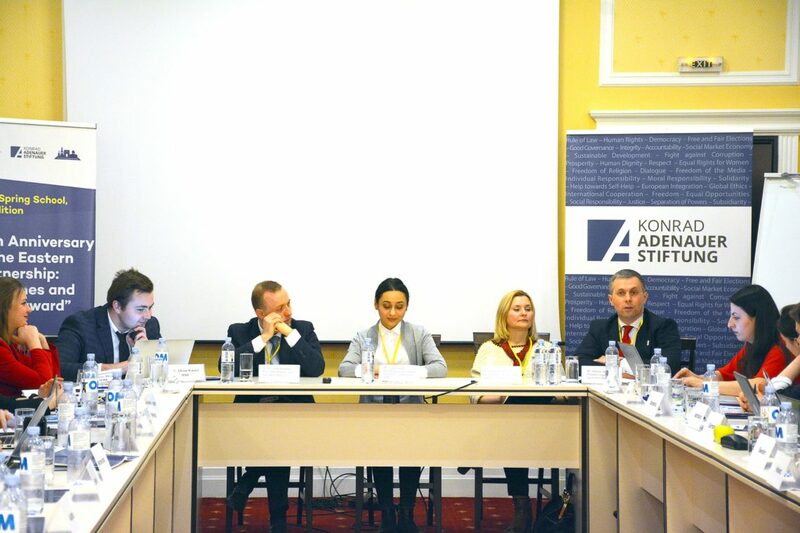 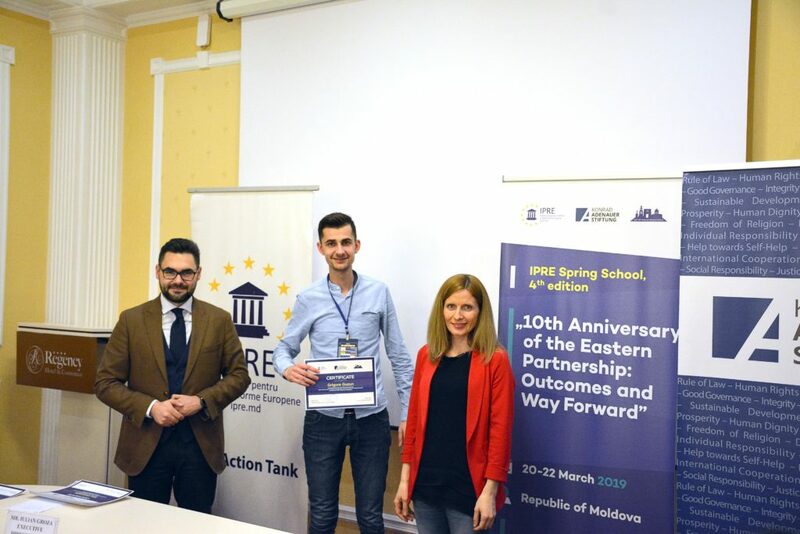 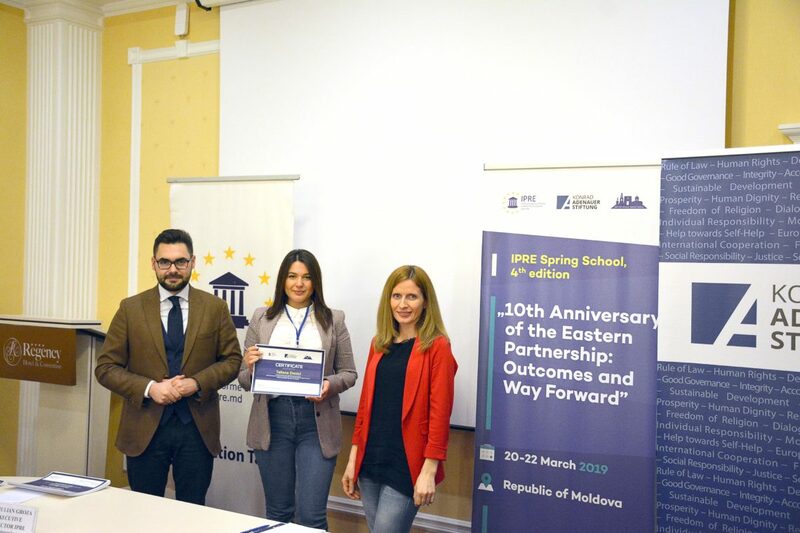 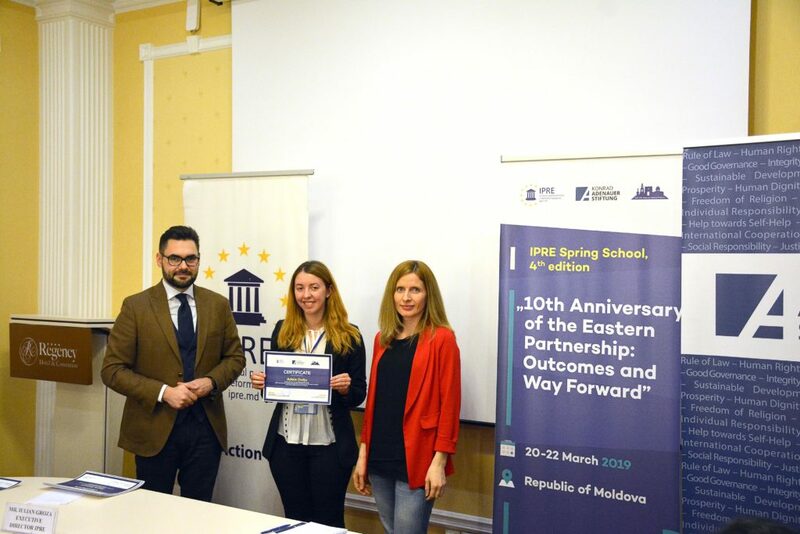 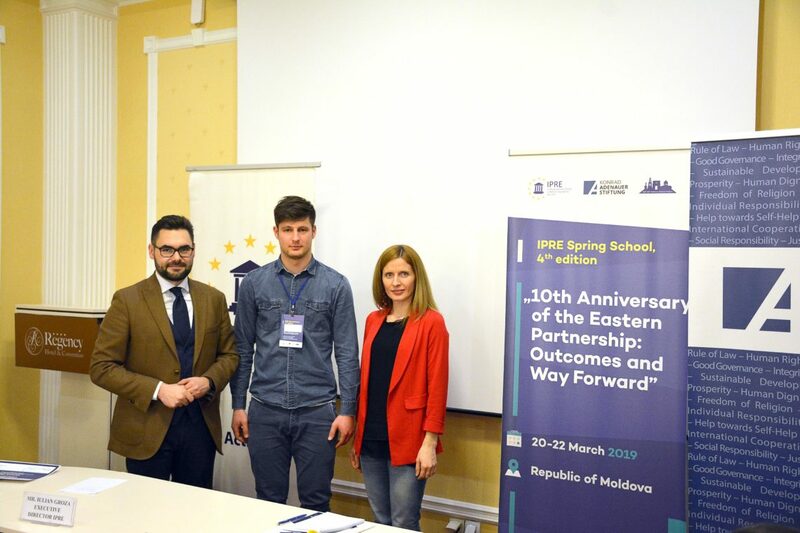 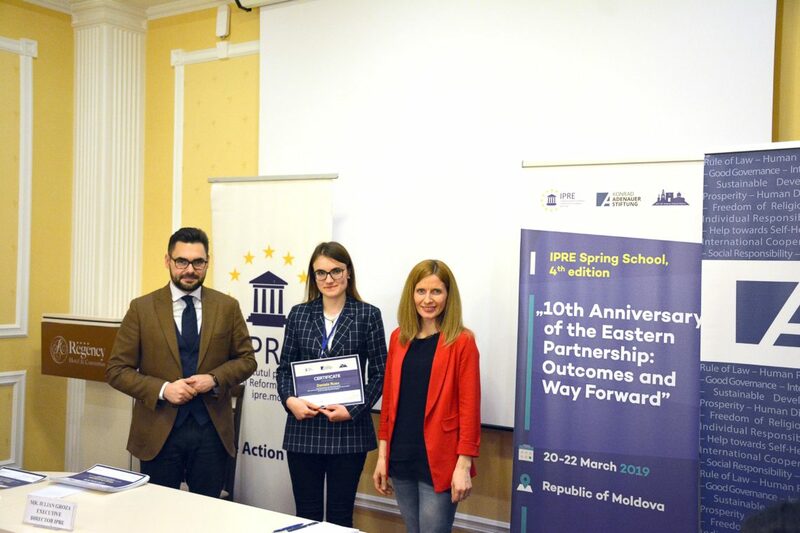 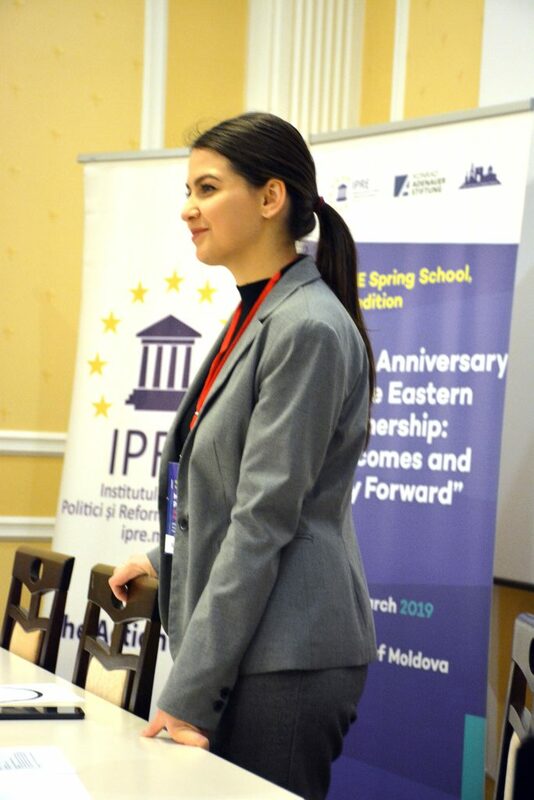 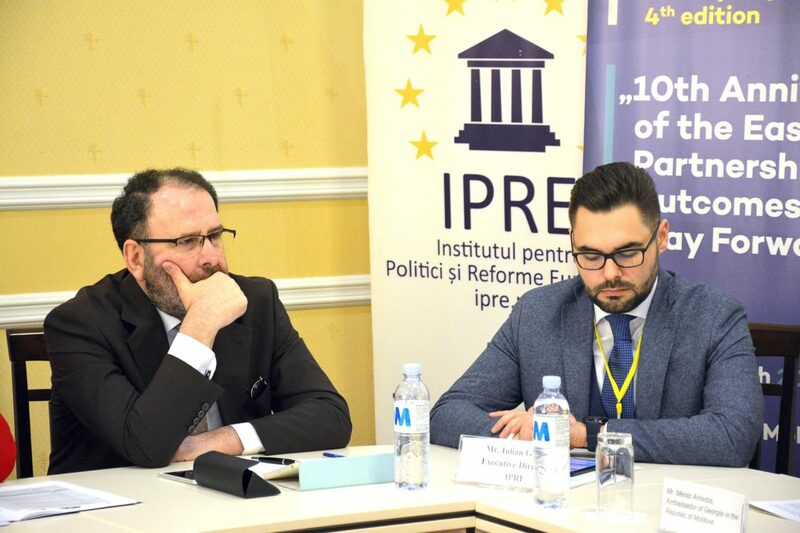 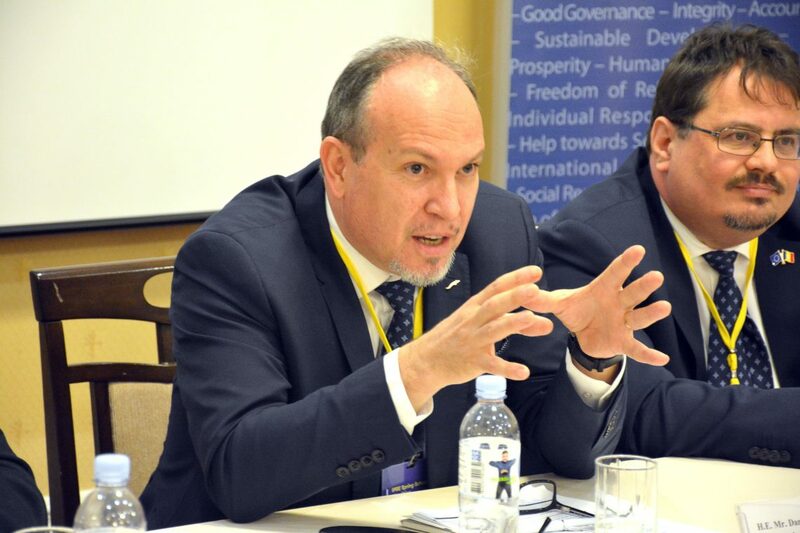 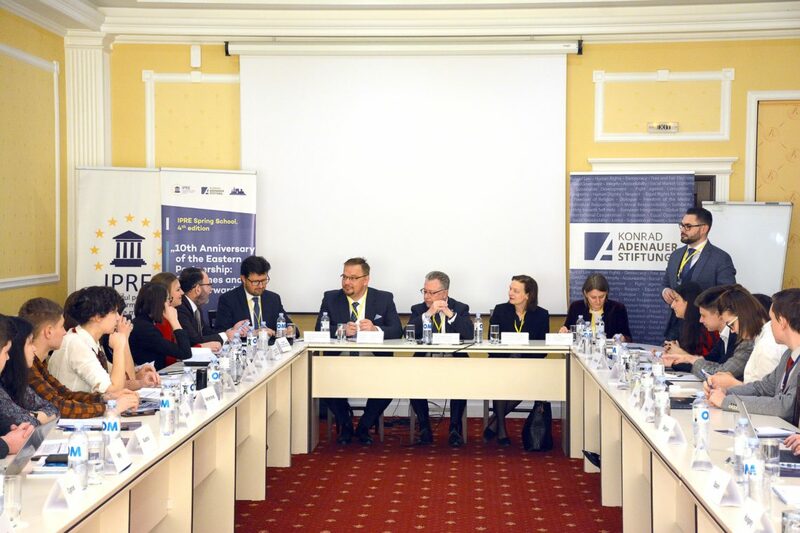 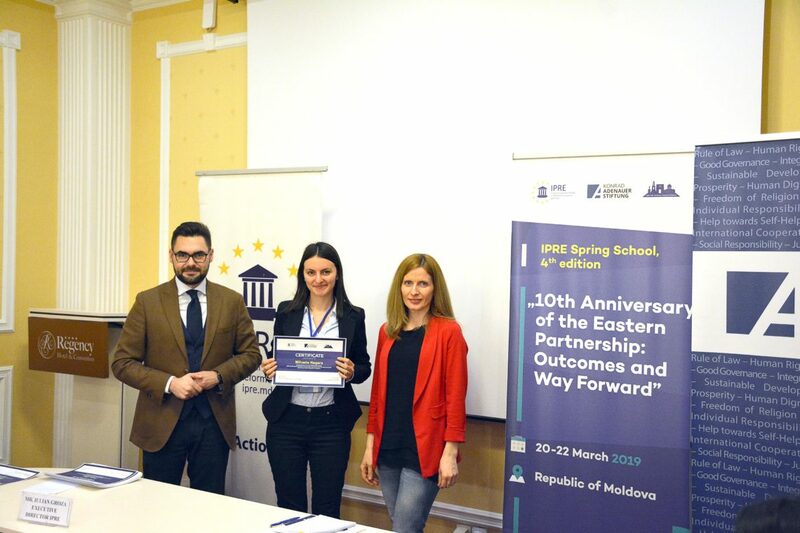 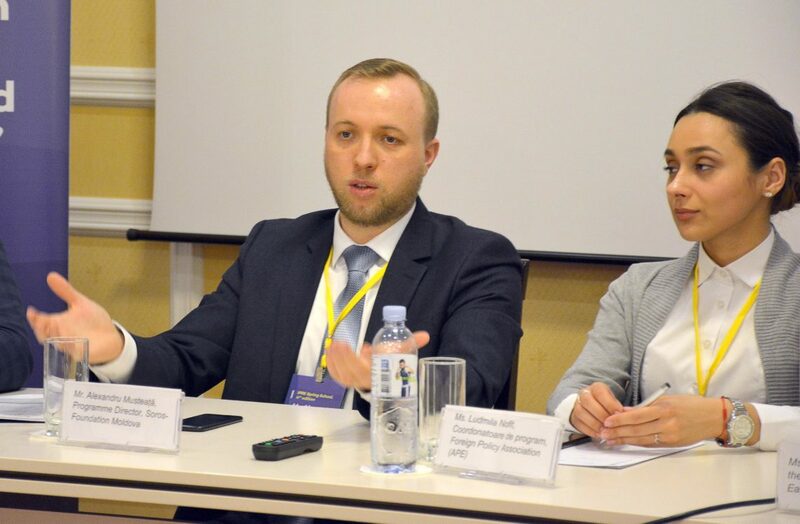 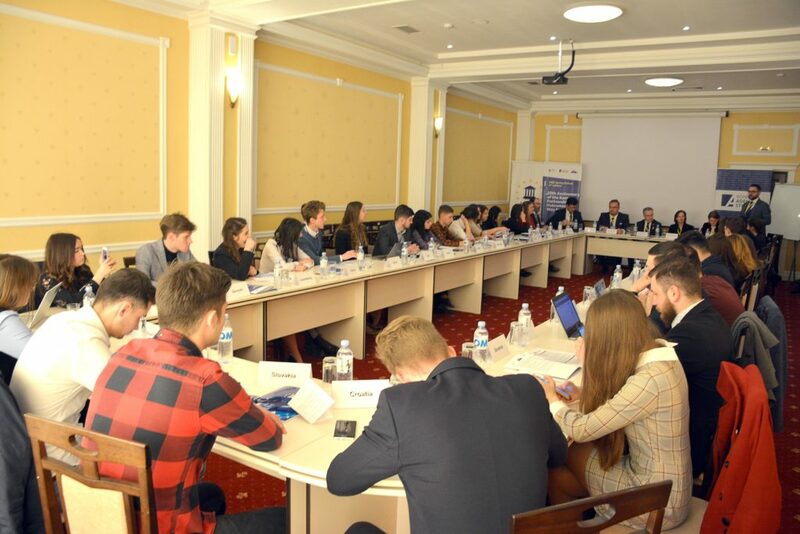 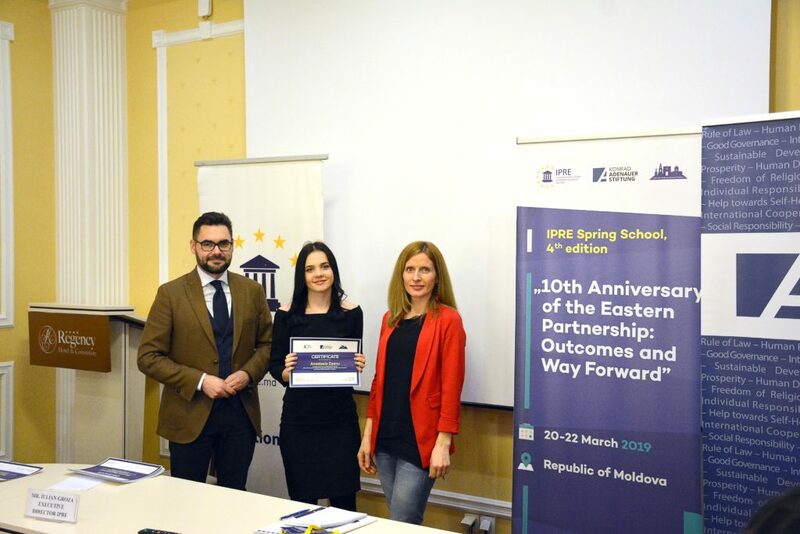 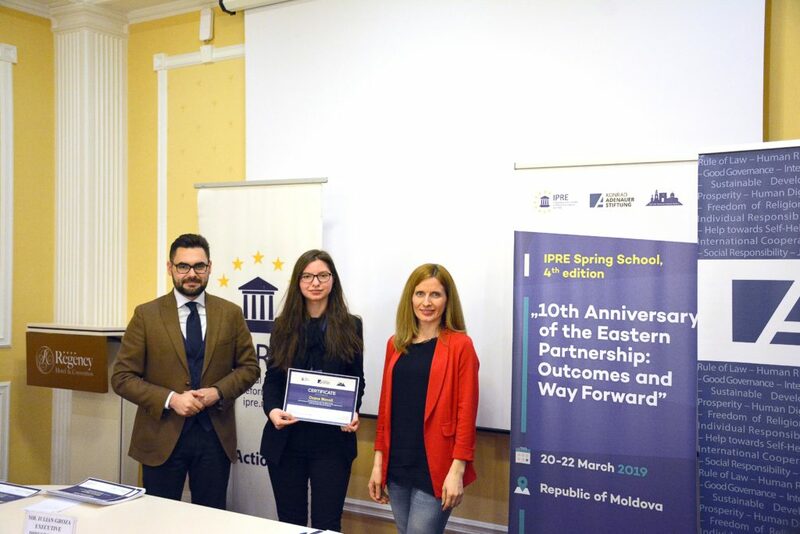 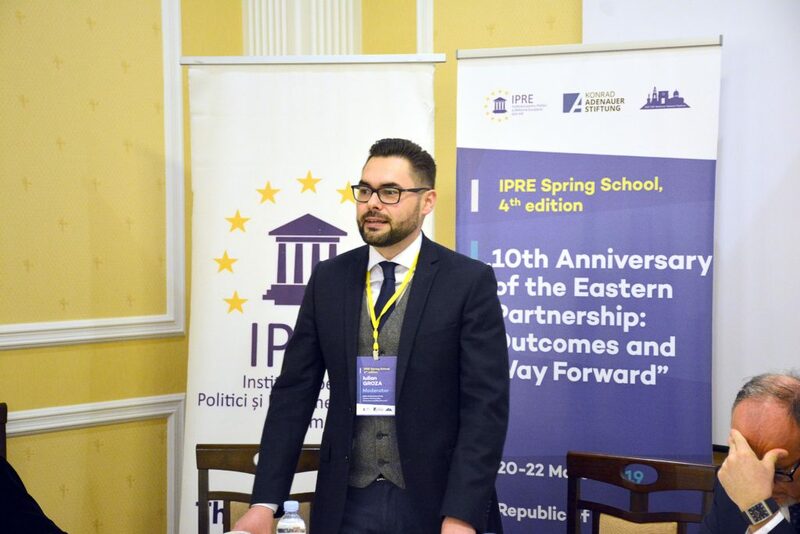 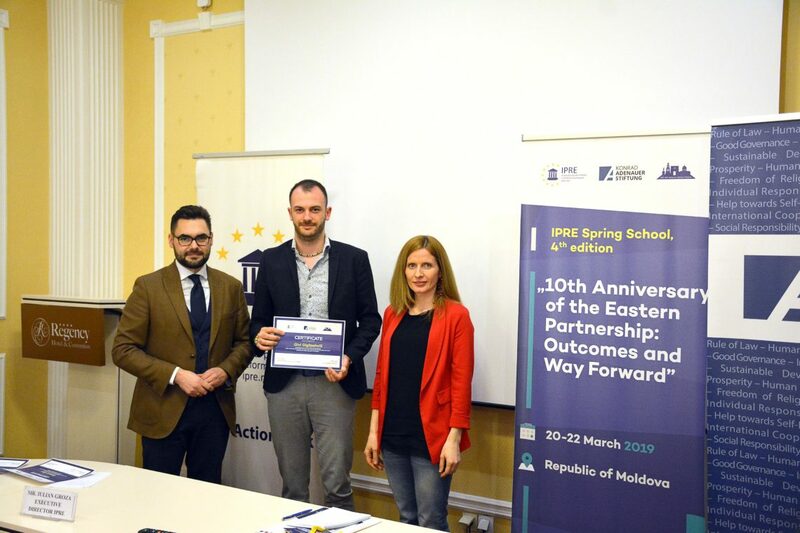 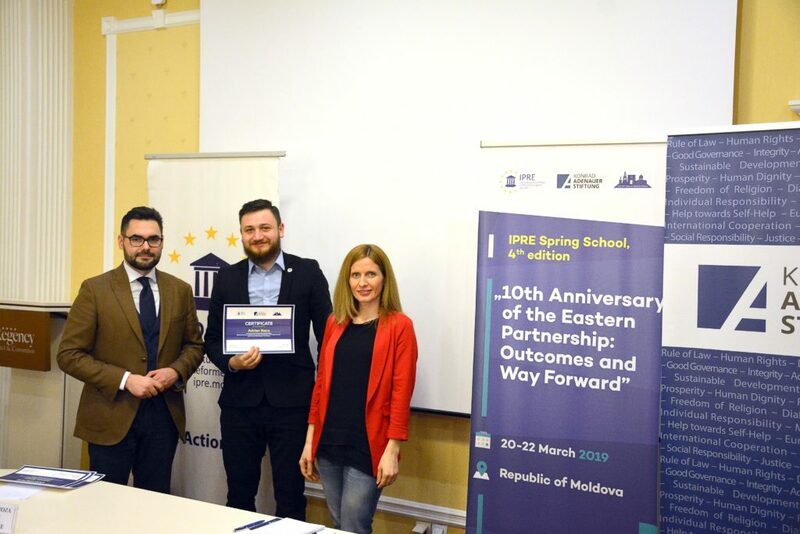 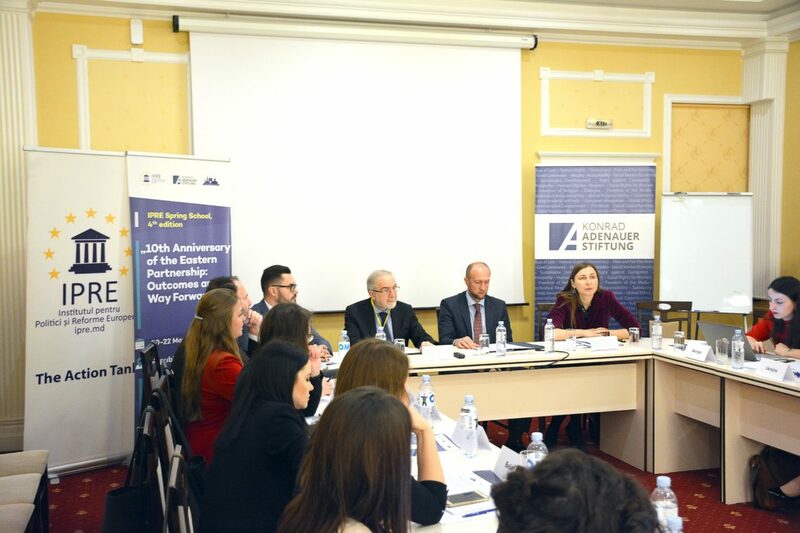 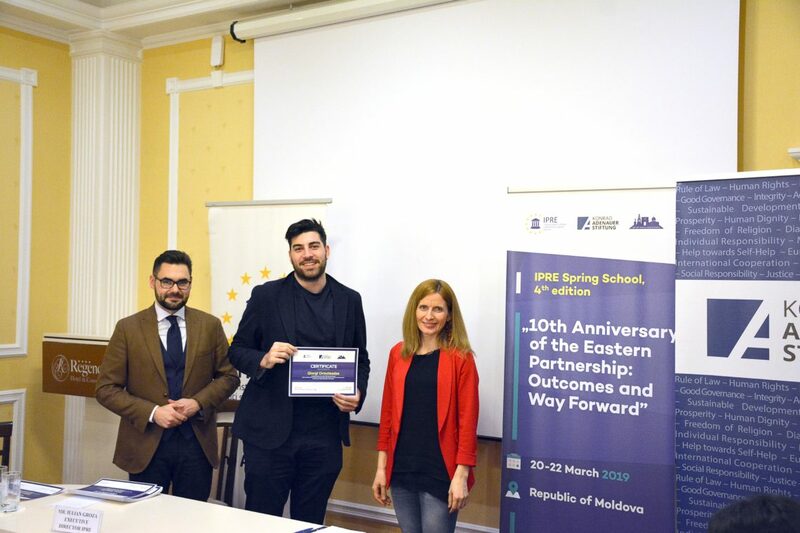 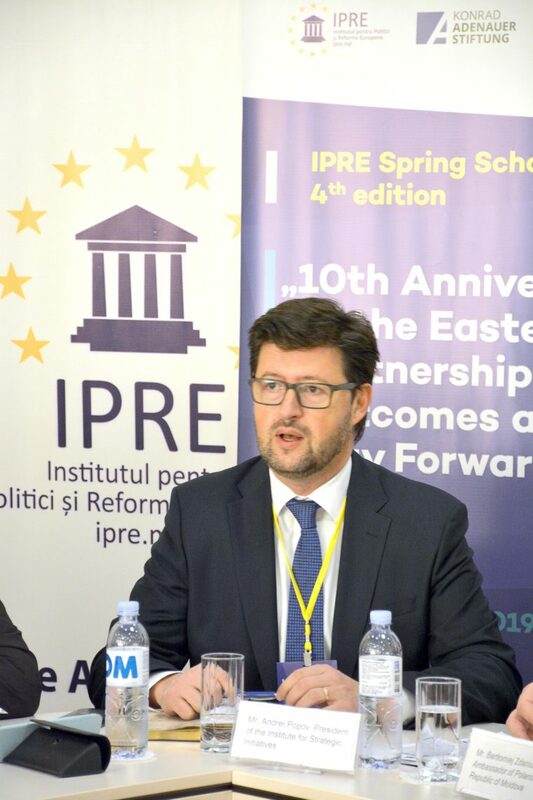 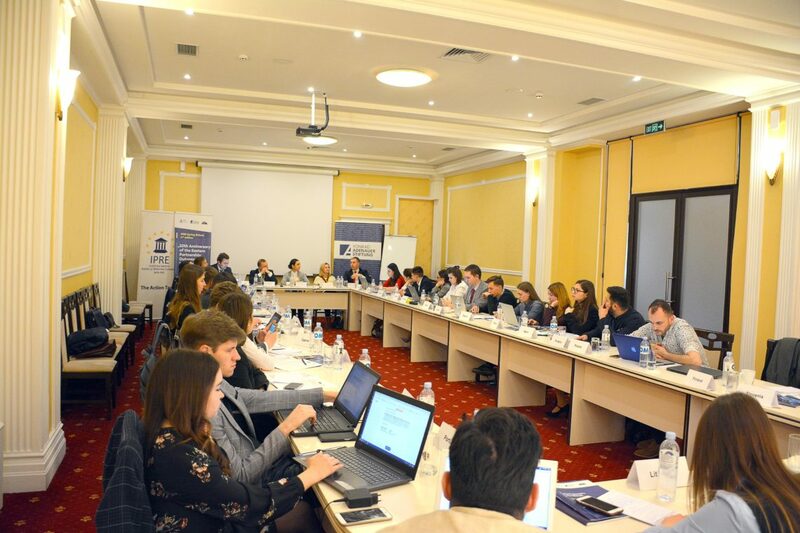 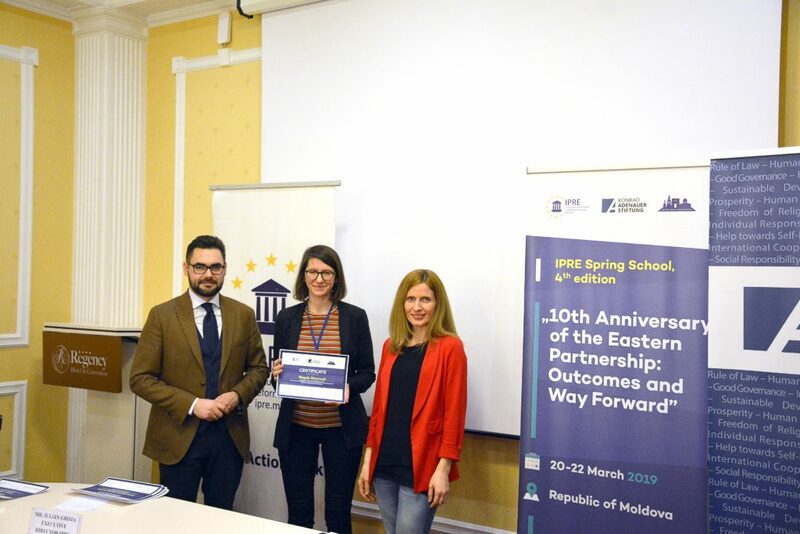 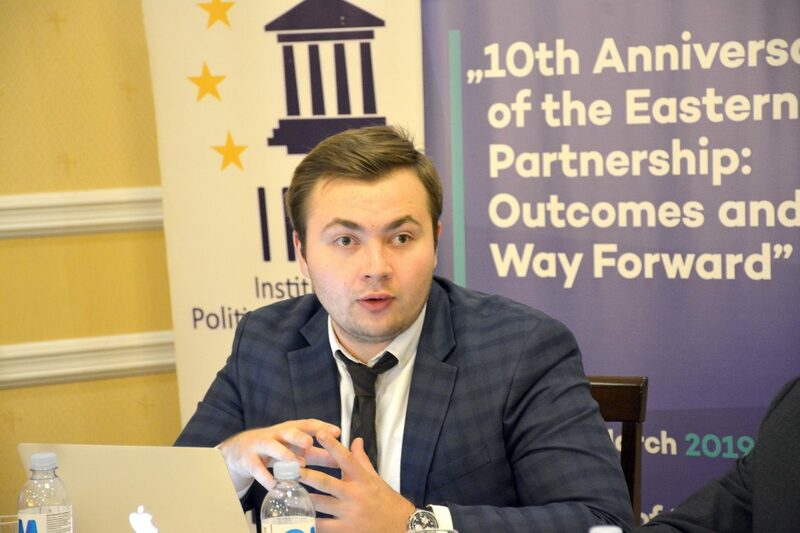 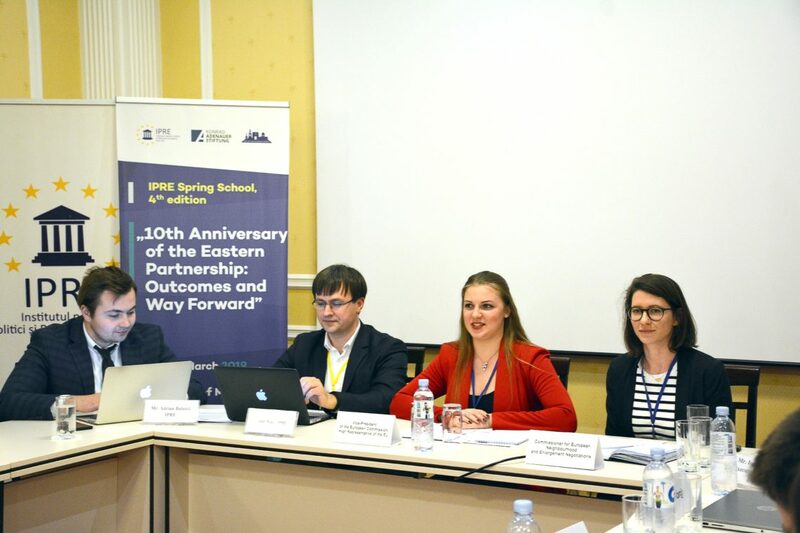 The Institute for European Policies and Reforms (IPRE), in partnership with Moldovan National Platform of the Eastern Partnership Civil Society Forum and with the support of the Konrad Adenauer Foundation, organized between 20-22 March 2019 the 4th edition of the IPRE Spring School “10th Anniversary of the Eastern Partnership: Outcomes and the Way Forward”. 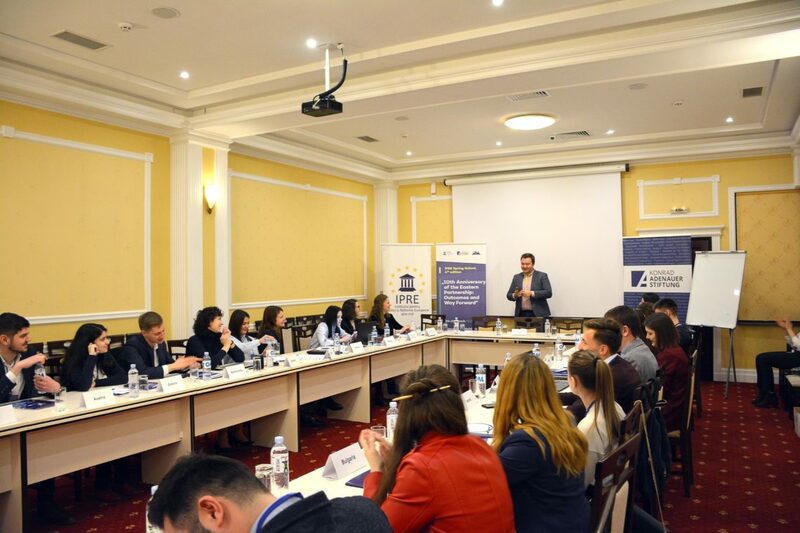 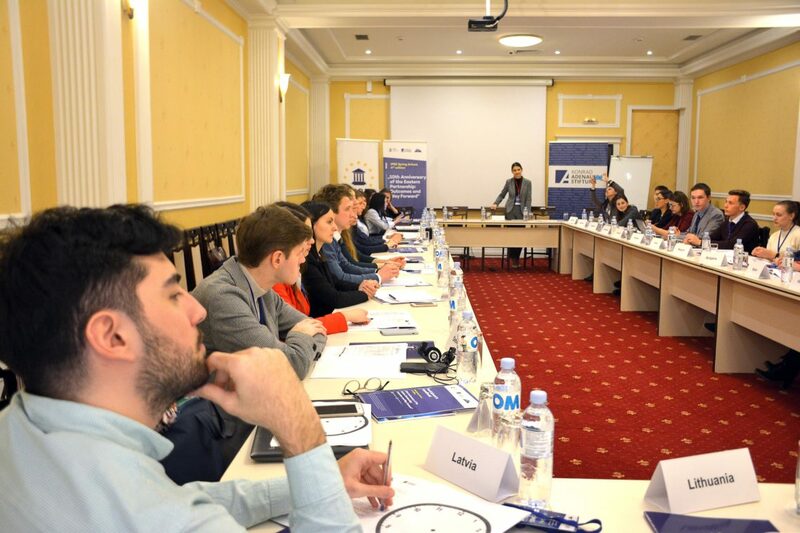 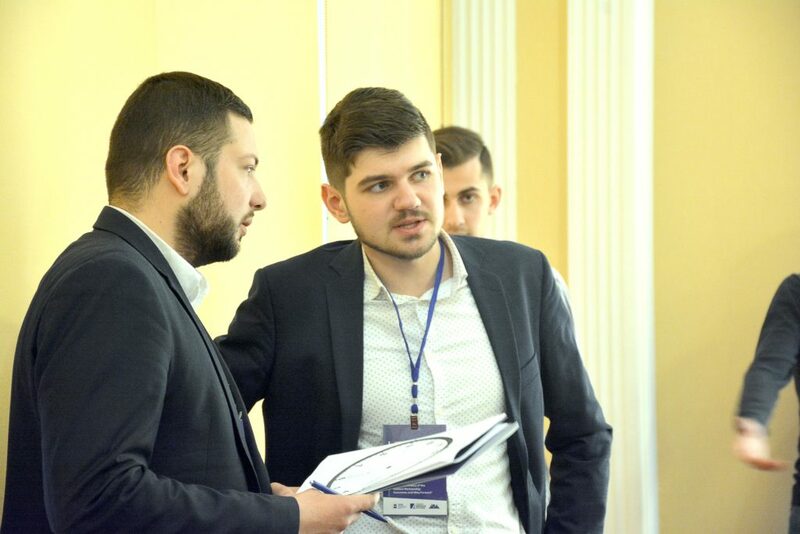 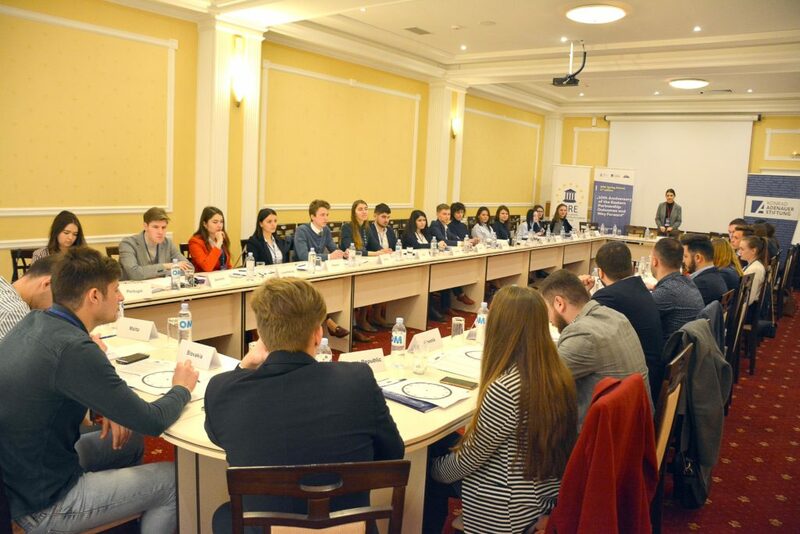 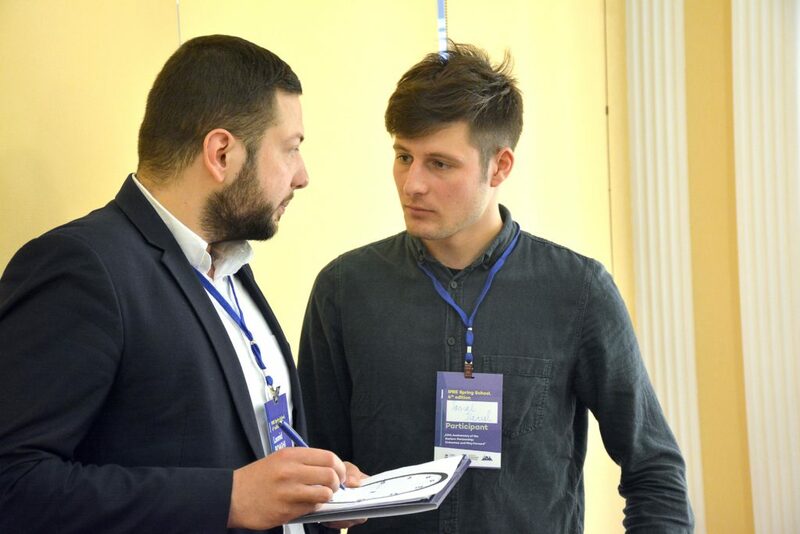 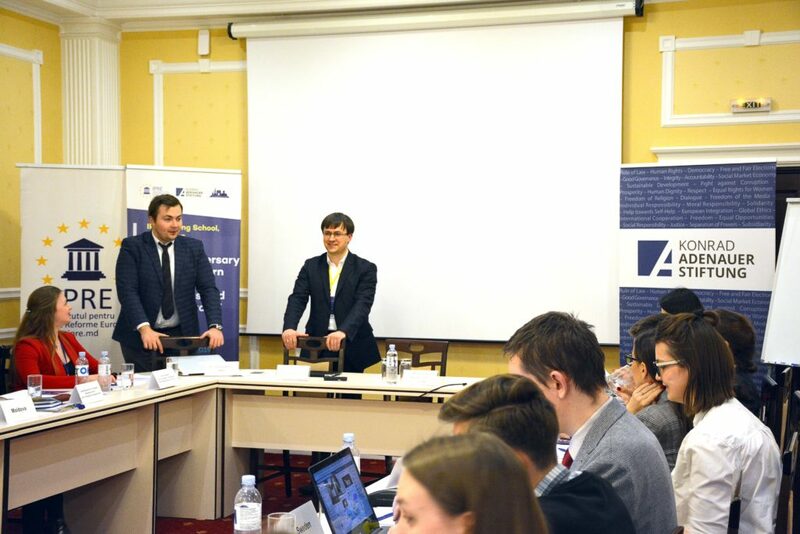 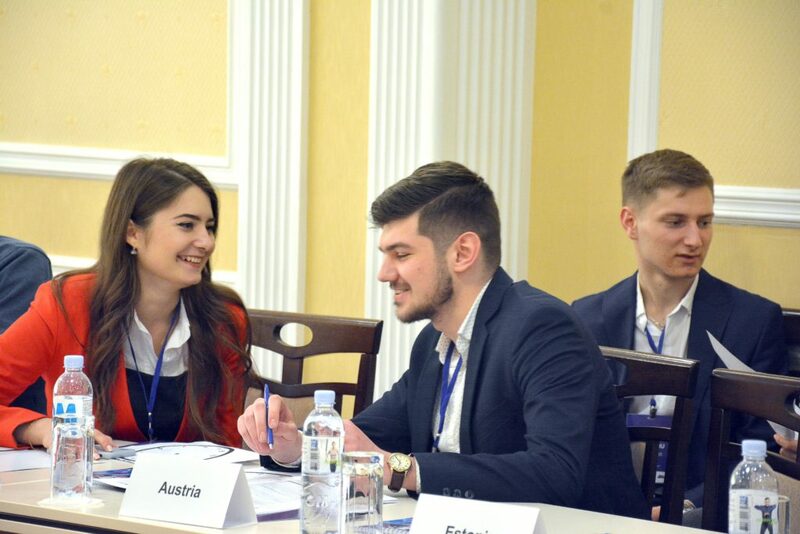 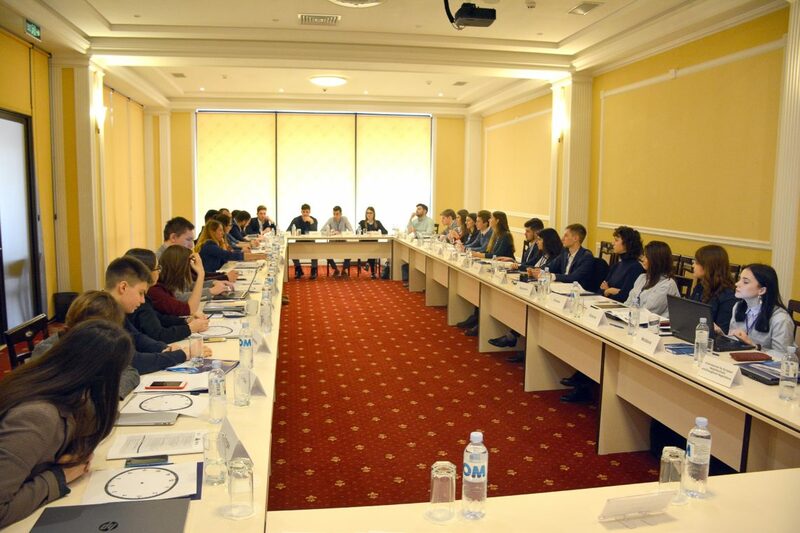 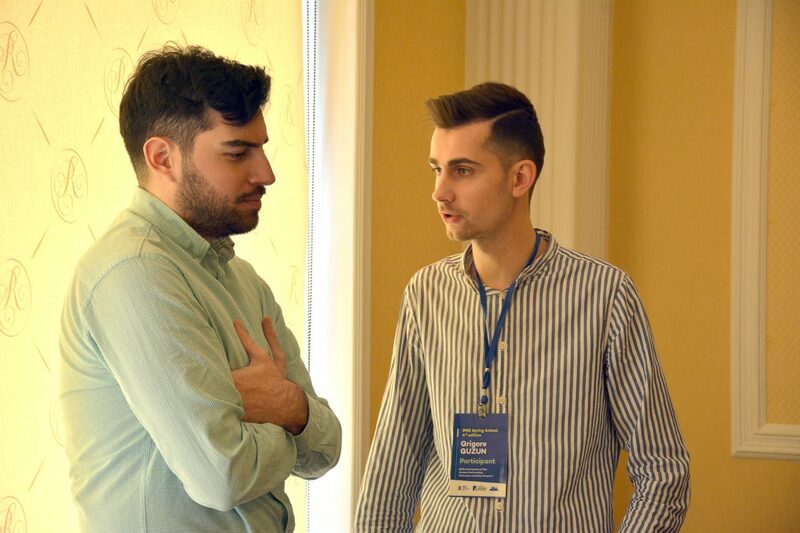 Thirty-five young leaders from Moldova, Georgia and Ukraine gathered in Chisinau to simulate the Eastern Partnership Ministerial Meeting. 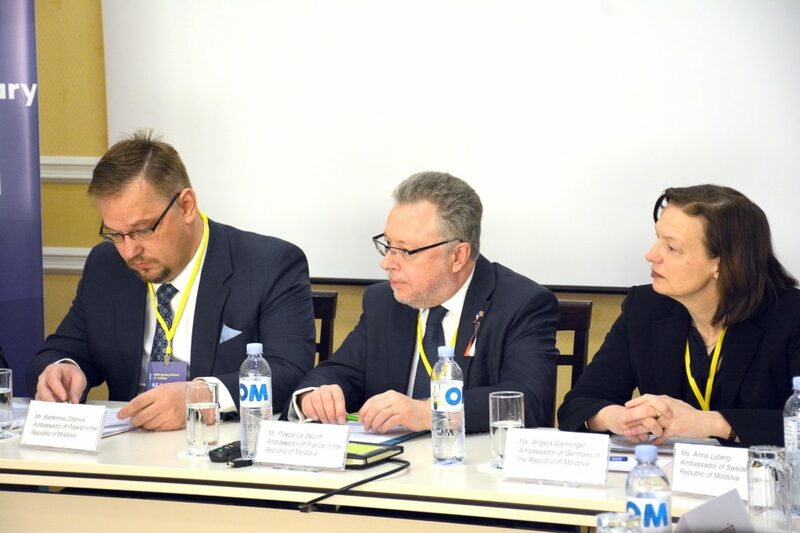 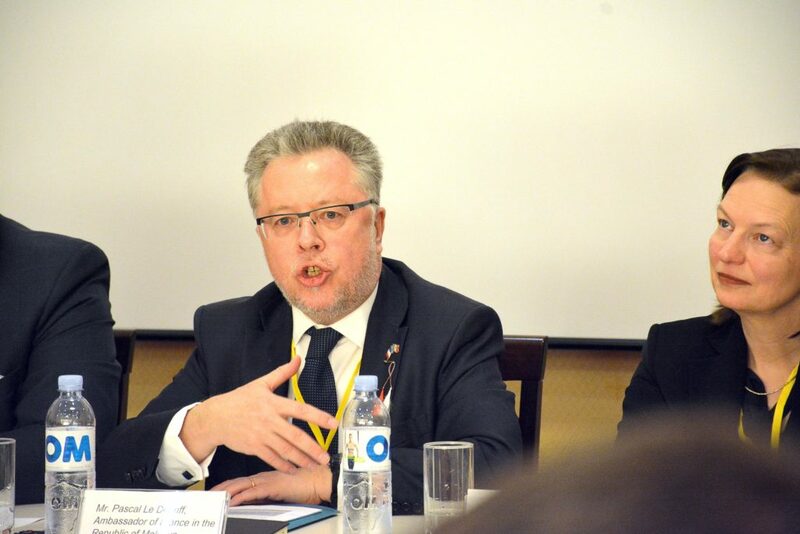 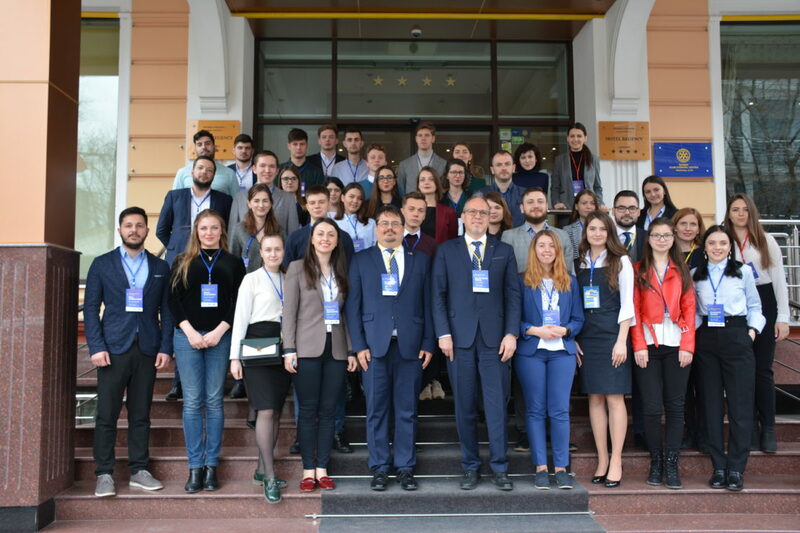 At the opening of this edition of the IPRE Spring School, Ambassador Peter Michalko, Head of the EU Delegation in the Republic of Moldova and Daniel Ioniţa, Ambassador of Romania to the Republic of Moldova welcomed the participants and shared their perspectives on the key results and perspectives of the Eastern Partnership. 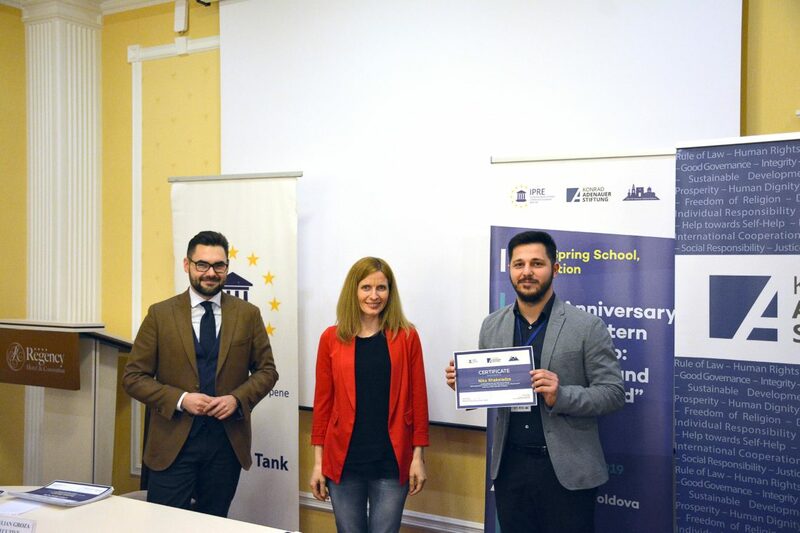 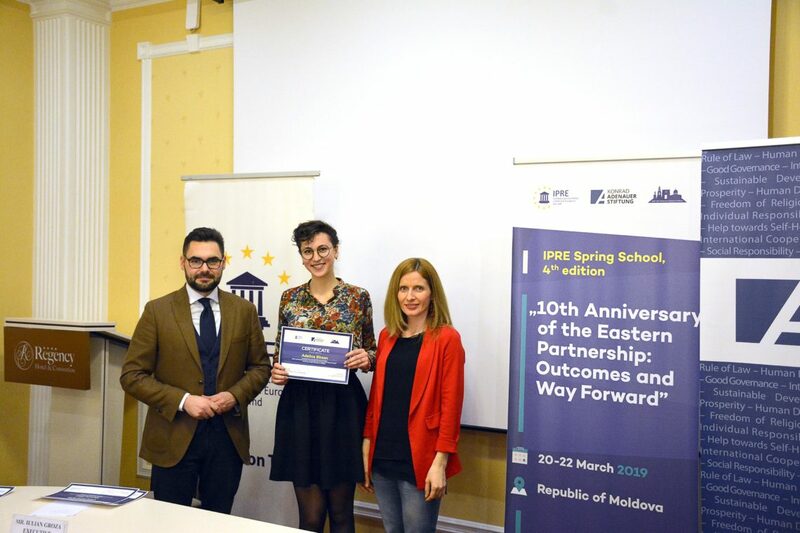 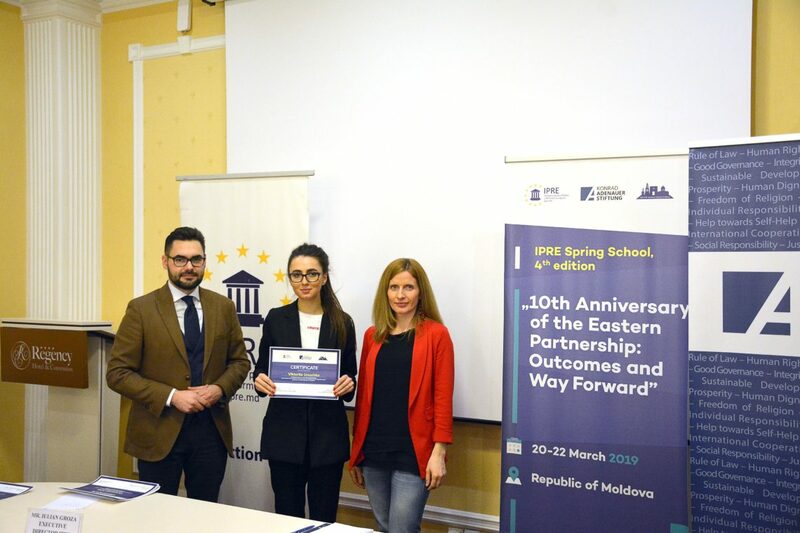 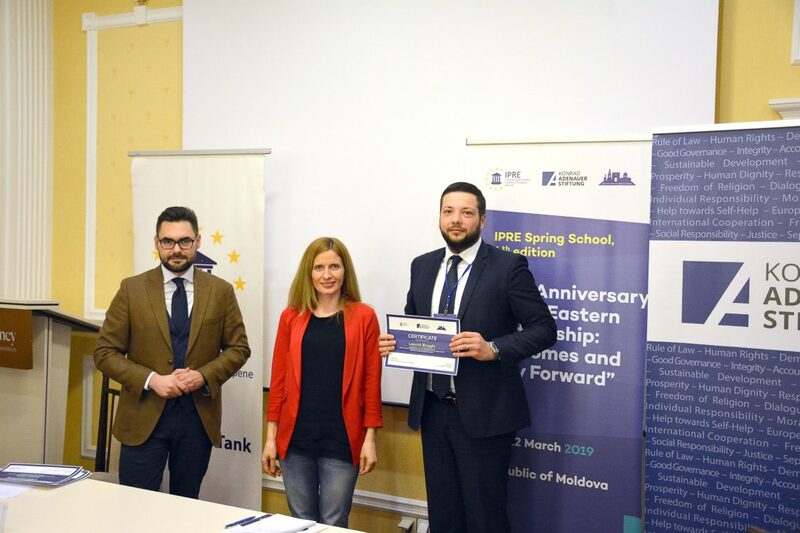 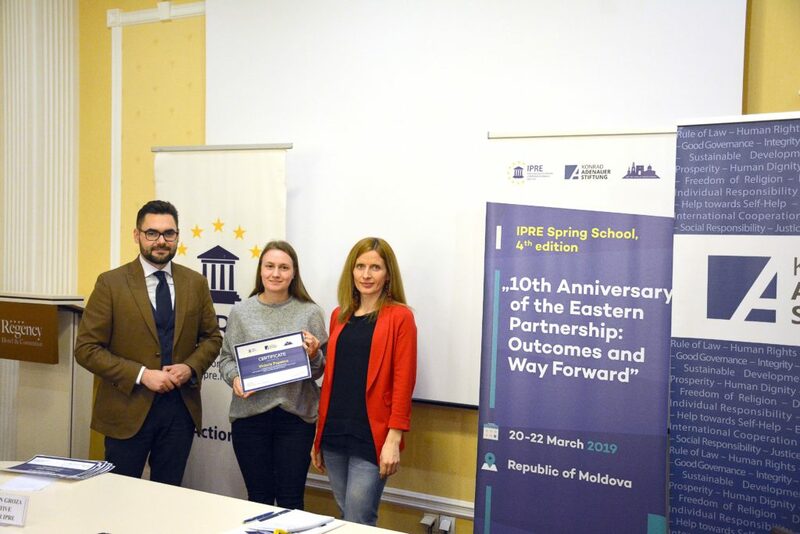 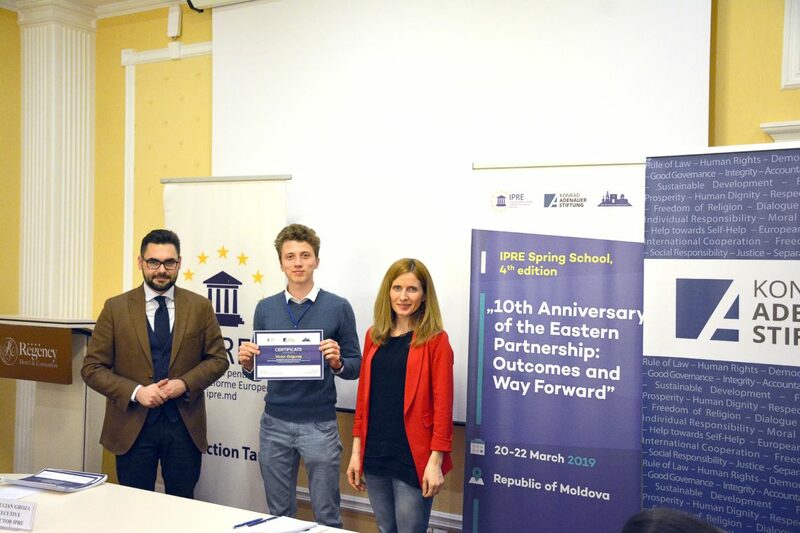 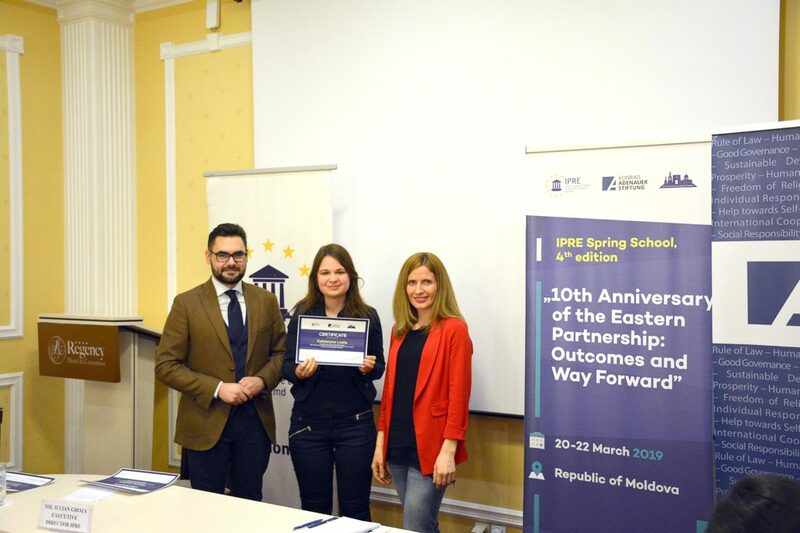 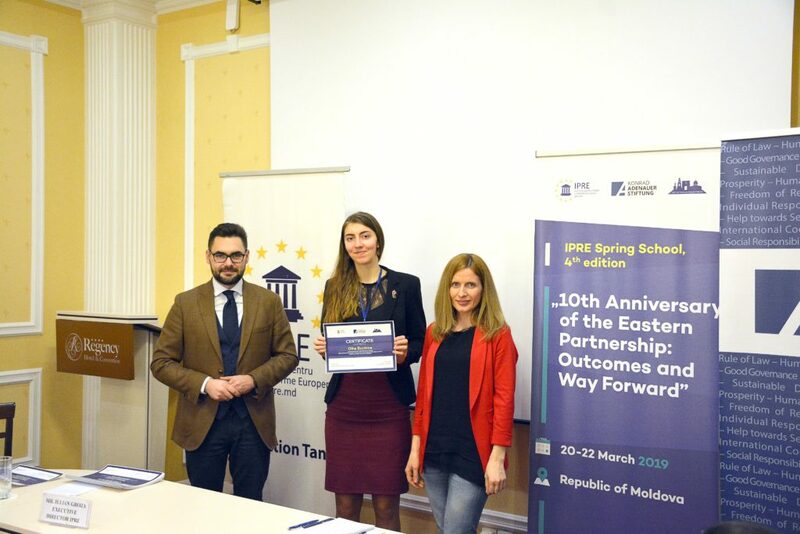 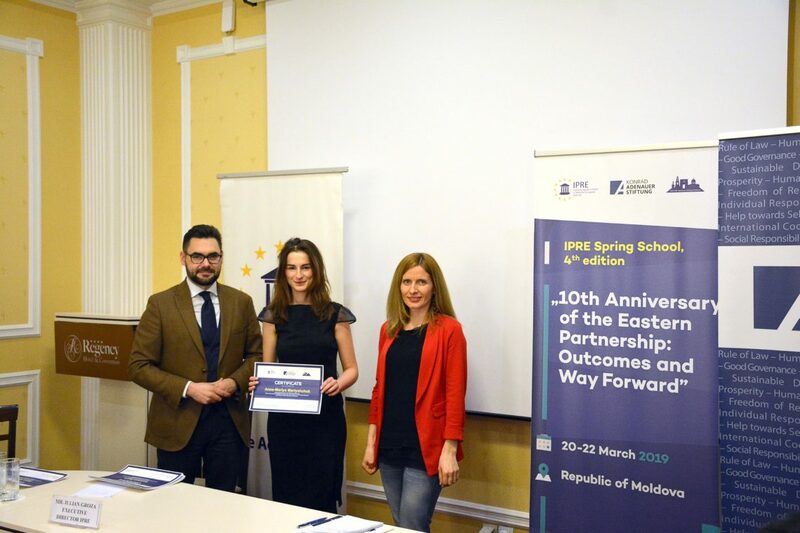 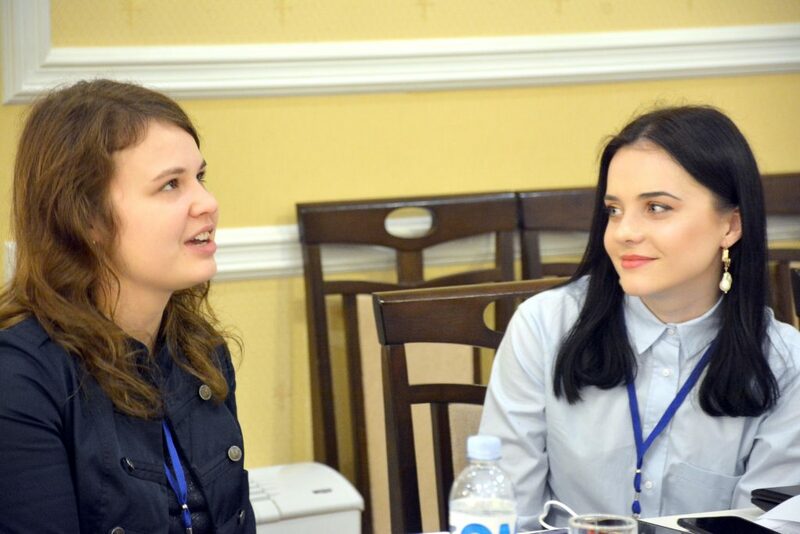 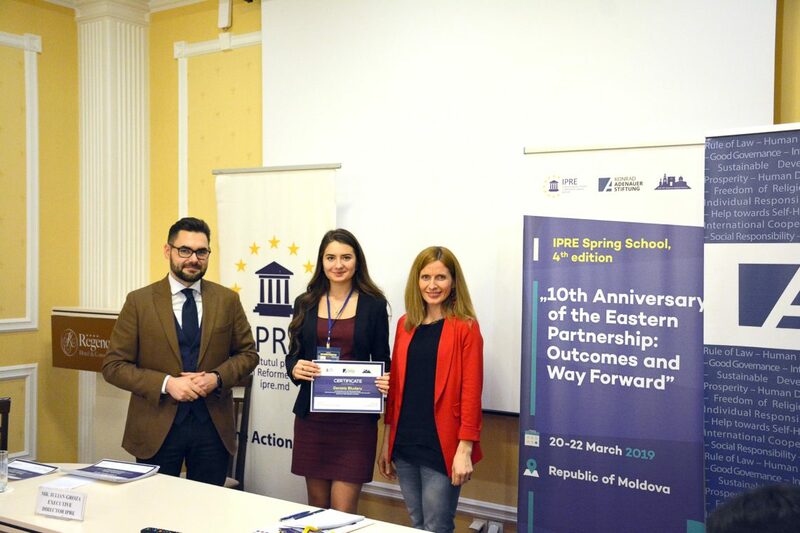 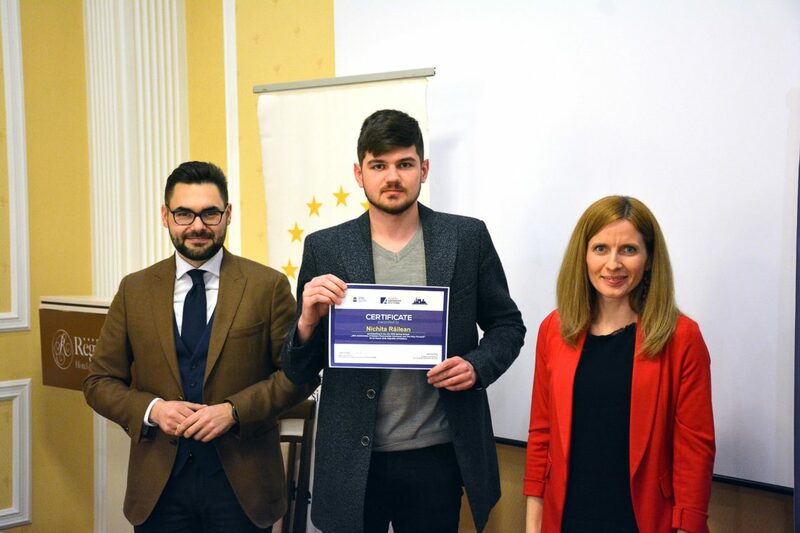 “The Spring School was dedicated to the 10thanniversary of the Eastern Partnership and brought together young leaders from Moldova, Georgia, Ukraine and one participant from Belarus, interest to learn more about the results, challenges and share their views on the Eastern Partnership after 10 years since it was launched”, said Mariana Platon, IPRE Project Manager. 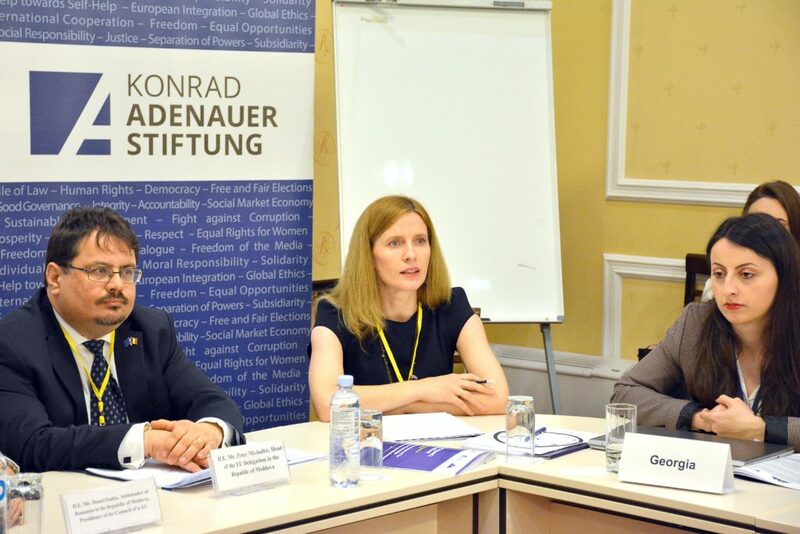 On the second day, the participants exchanged their views with an EU Ambassadorial panel with Anna Lyberg, Ambassador of Sweden to Chisinau, Bartłomiej Zdaniuk, Ambassador of Poland to the Republic of Moldova, Angela Ganninger, German Ambassador to Chisinau and Pascal Le Deunff, Ambassador of France to the Republic Moldova. 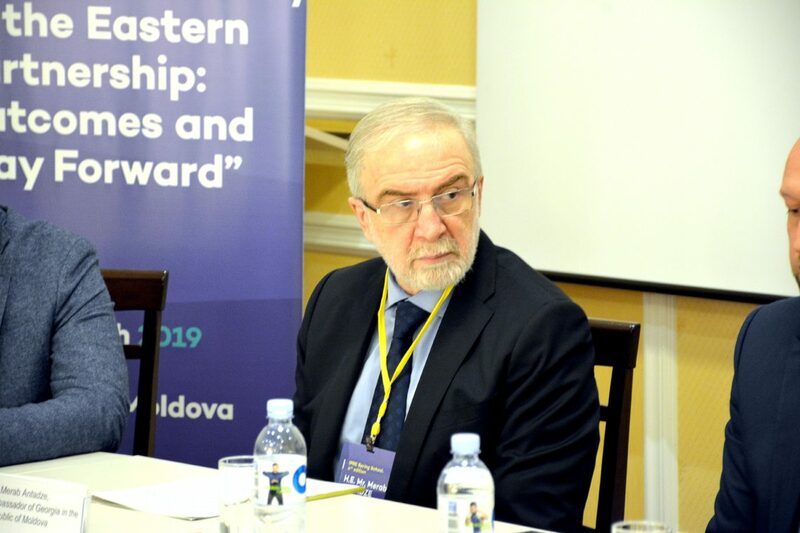 The session was moderated by Andrei Popov, Chairman of the Institute for Strategic Initiatives. The participants also discussed about the key outcomes and perspectives of the three EaP Associated partners together with Daniela Morari, State Secretary for European Integration, Ministry of Foreign Affairs and European Integration of the Republic of Moldova, Merab Antadze, Ambassador of Georgia to the Republic of Moldova and Evgen Tkachuk, First Secretary of the Ukrainian Embassy in Chisinau. 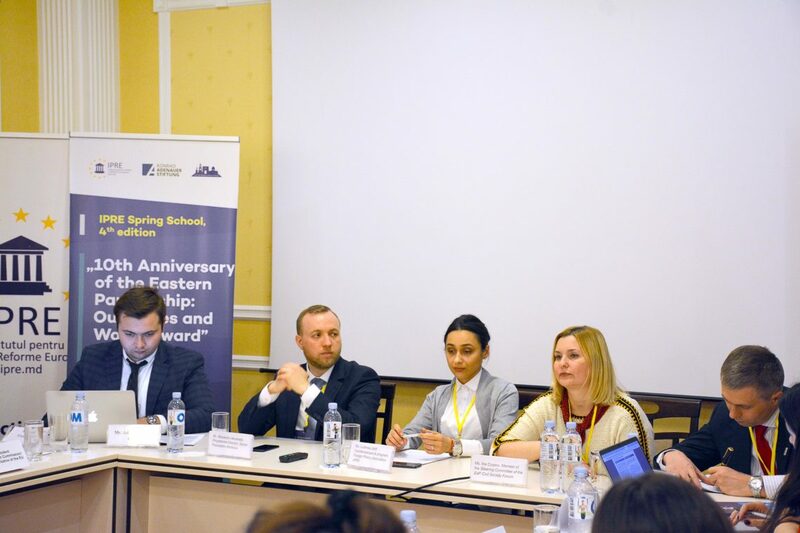 Another panel discussion in the second day was dedicated to the challenges and results of the EaP as perceived by the representatives of the civil society shared by Ina Coşeru, member of the Steering committee of the EaP Civil Society Forum, Ludmila Nofit, Program Coordinator, Foreign Policy Association, Alexandru Musteaţă, Program Director, Soros Foundation-Moldova and Vladislav Gribincea, Chariman of the Legal Resources Center from Moldova. 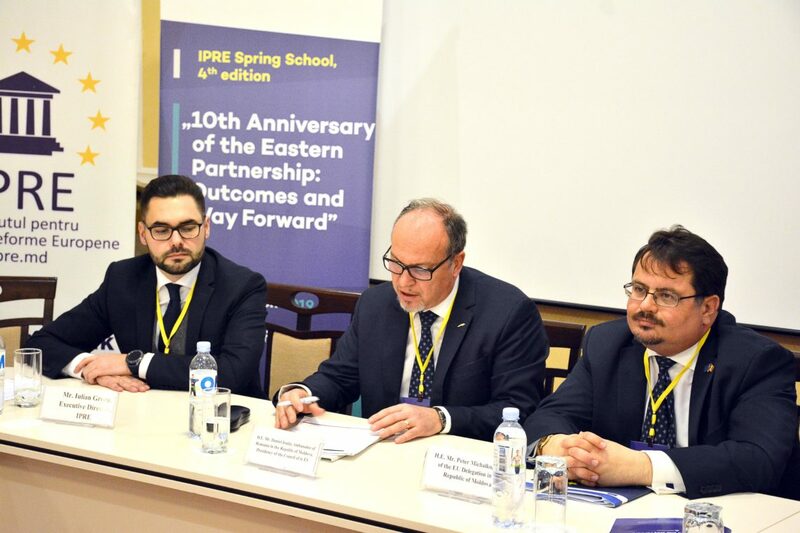 Following the information sessions and discussion panels, the participants of the IPRE Spring School were divided into several teams and participated in a simulation exercise of the Eastern Partnership Ministerial Meeting, each participant playing the role of Foreign Ministers of EU Member States and EaP countries, the European Commissioner for Neighborhood and Enlargement Negotiations and Vice-president of the European Commission and EU High Representative for Foreign and Security Affairs. 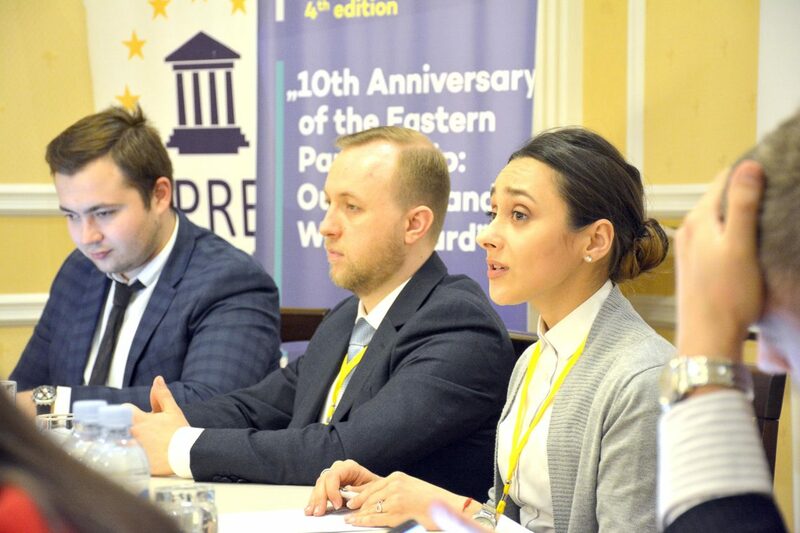 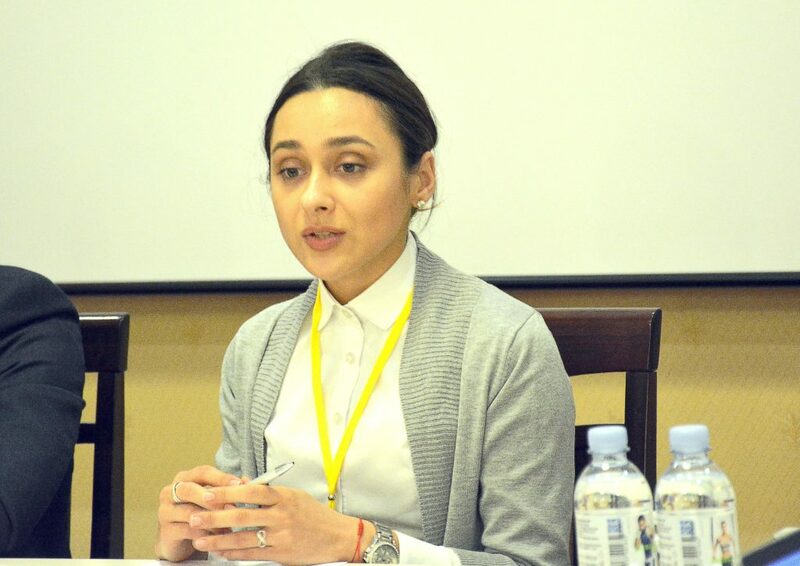 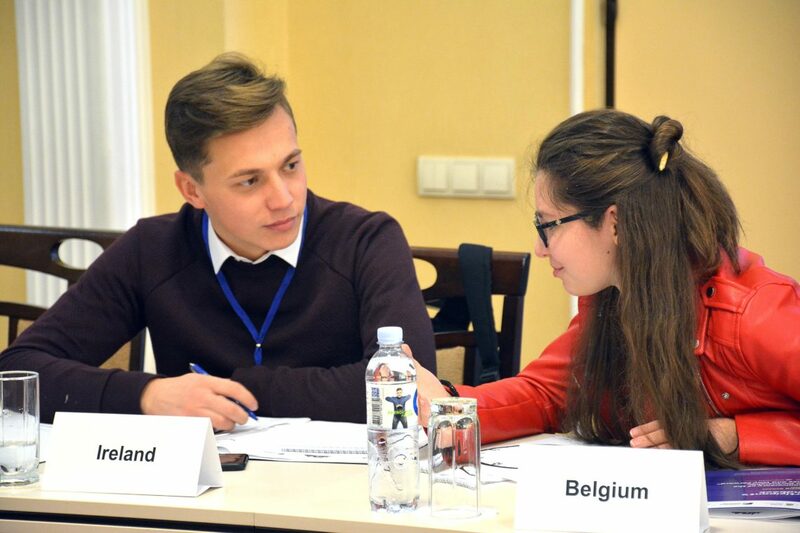 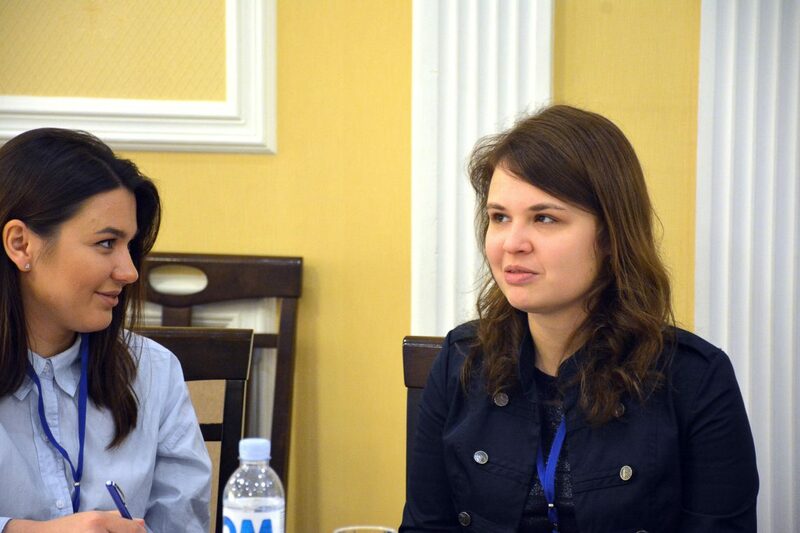 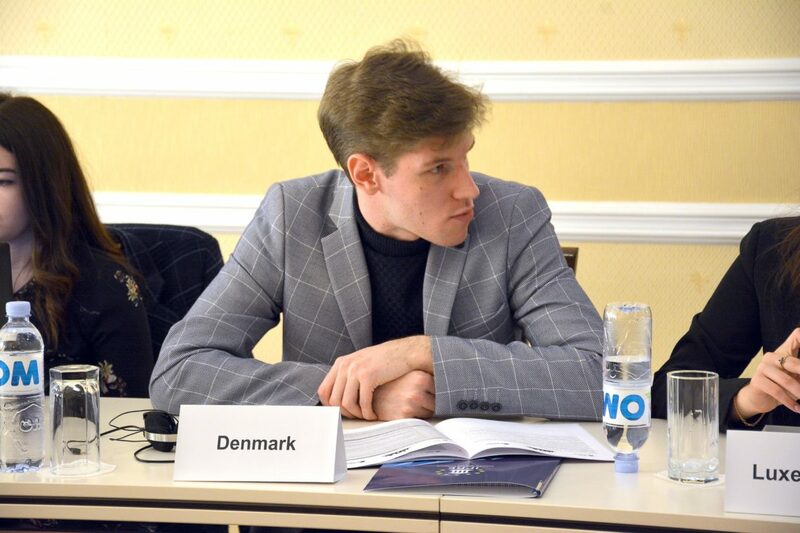 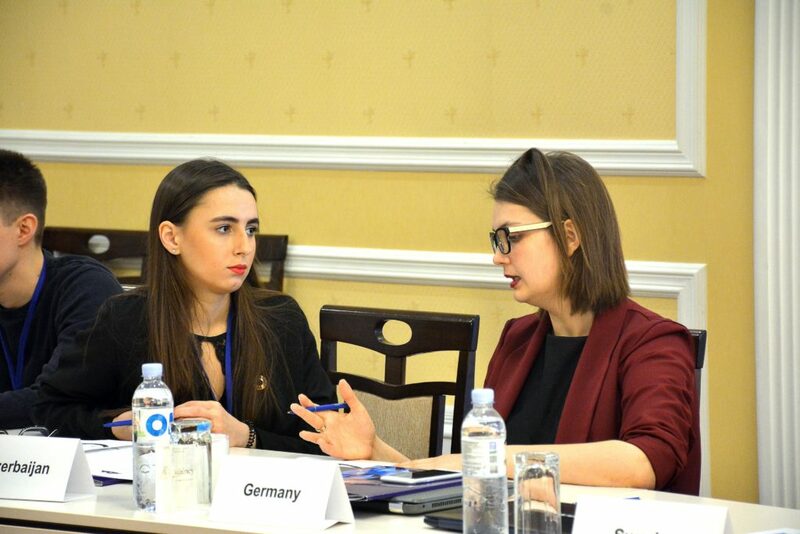 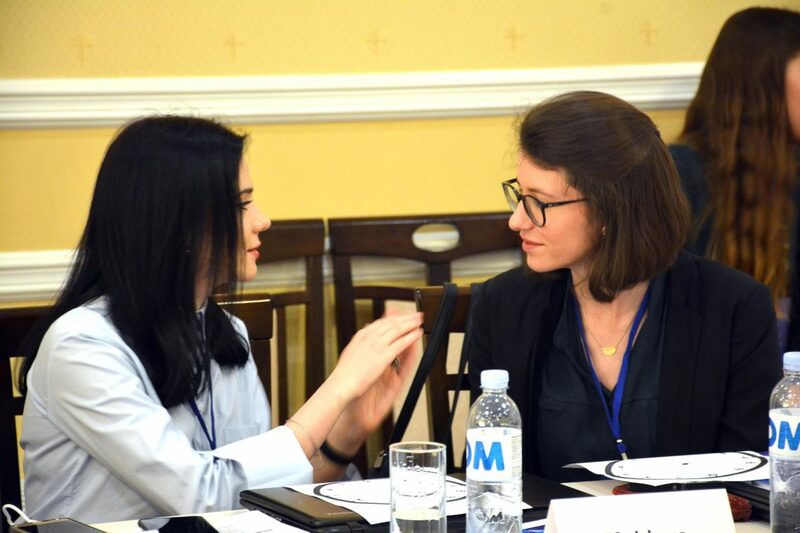 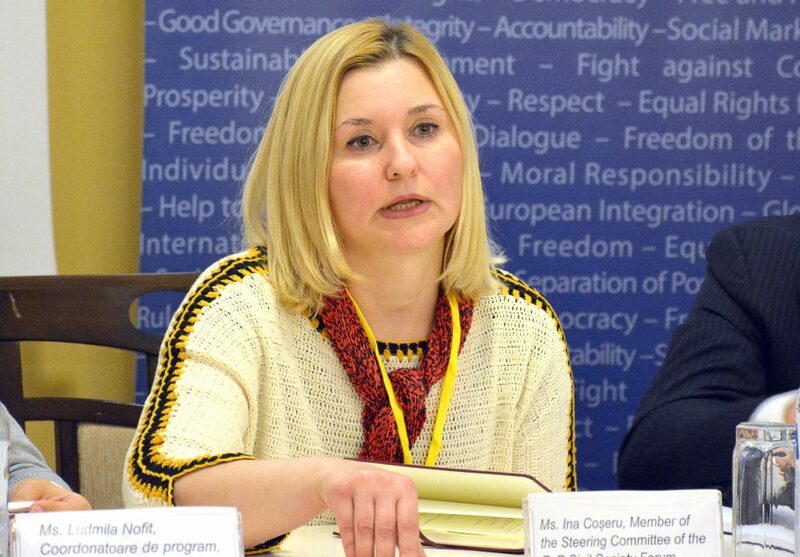 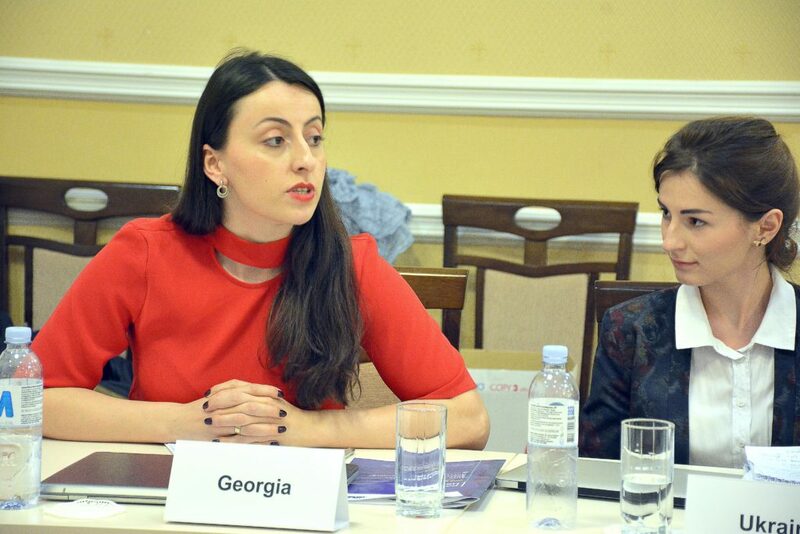 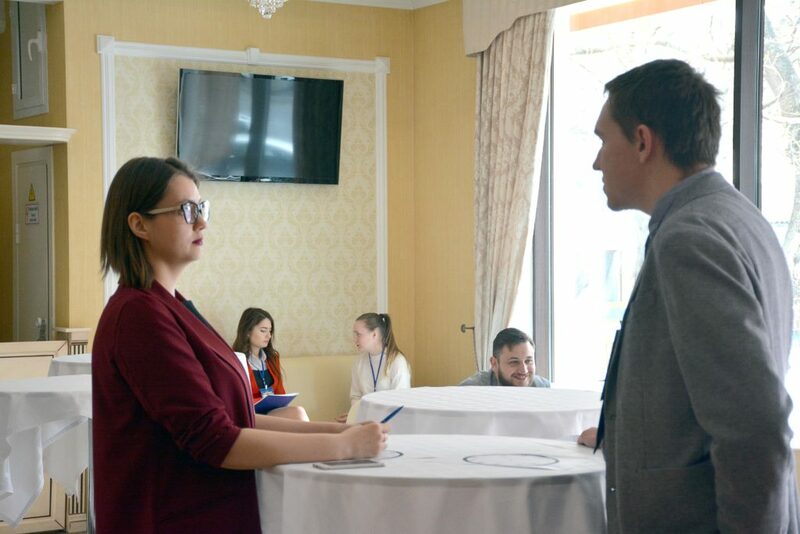 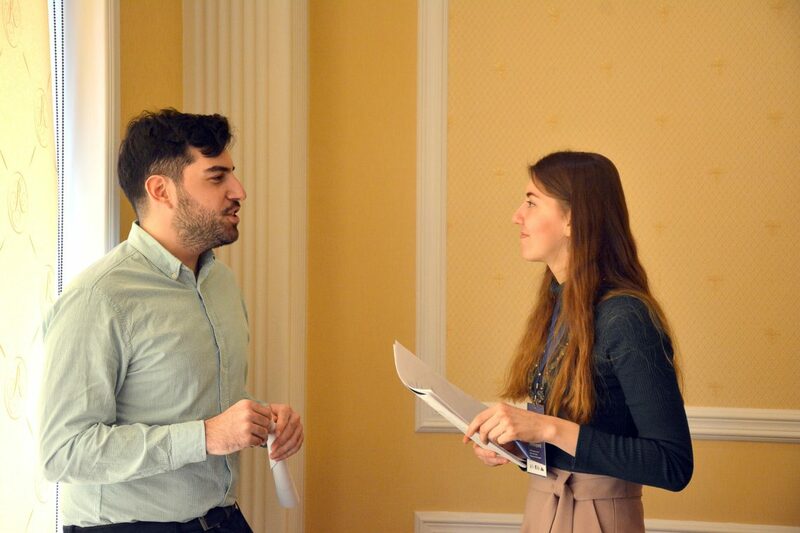 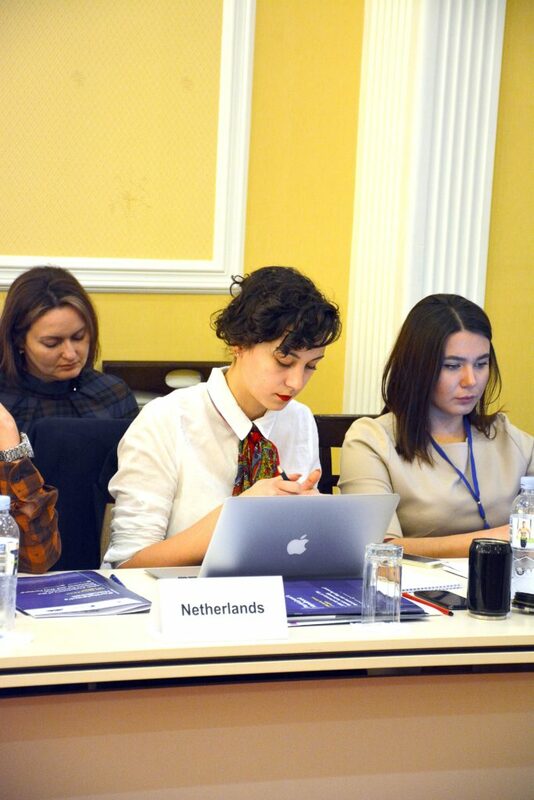 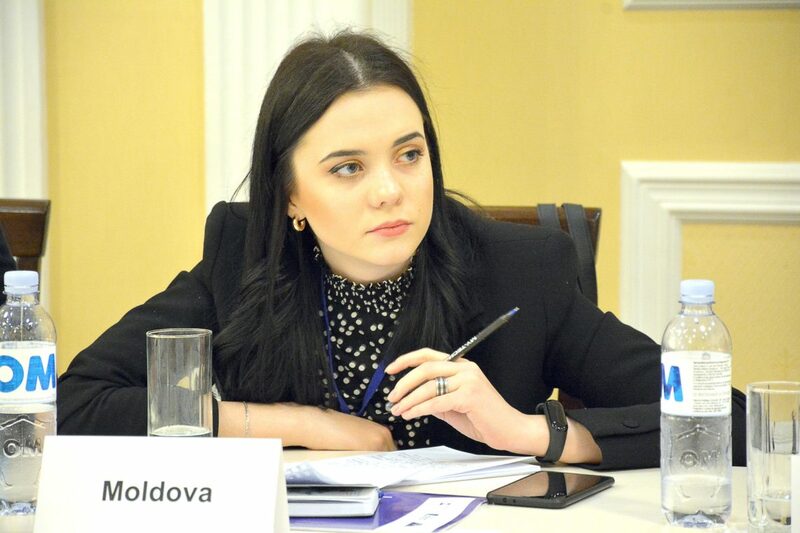 “We were in the shoes of the foreign ministers, tried to advance the interests of our countries as well as to think of how the Eastern Partnership can move forward and take a different form, or a different structure,” mentioned Anastasia Eșanu, participant from the Republic of Moldova. “I worked in the “Central Europe” team. 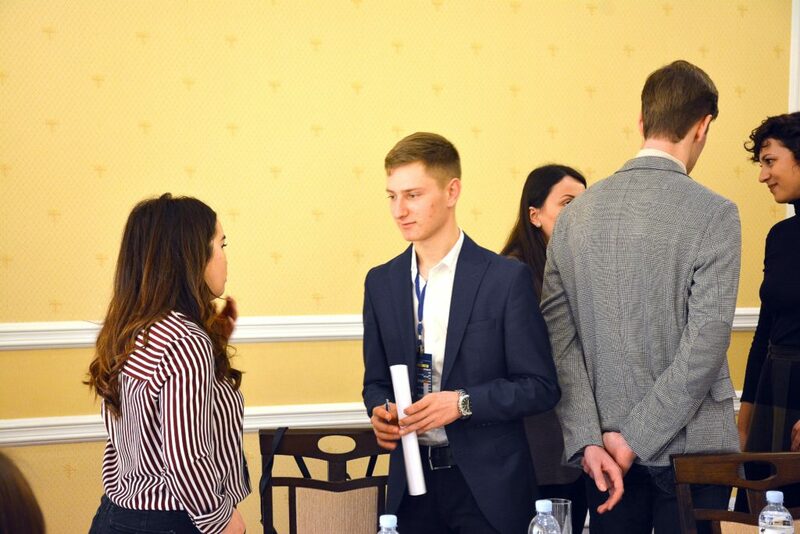 I tried to maintain the balance and it was an interesting experience to understand what happens when you have to become a minister delegated by Germany, Ukraine or the Republic of Moldova” said Mariya Symonova, a participant from Ukraine. 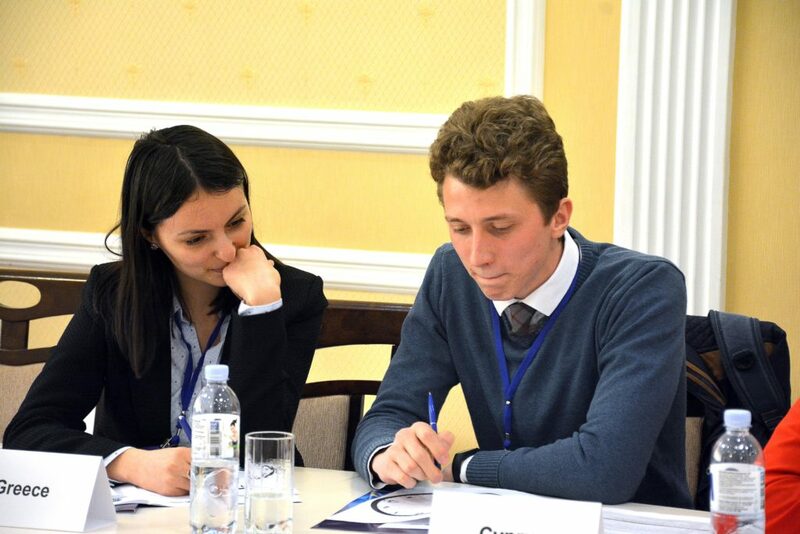 “We did a simulation in the exact same way as the actual negotiations are taking place and saw their very essence. 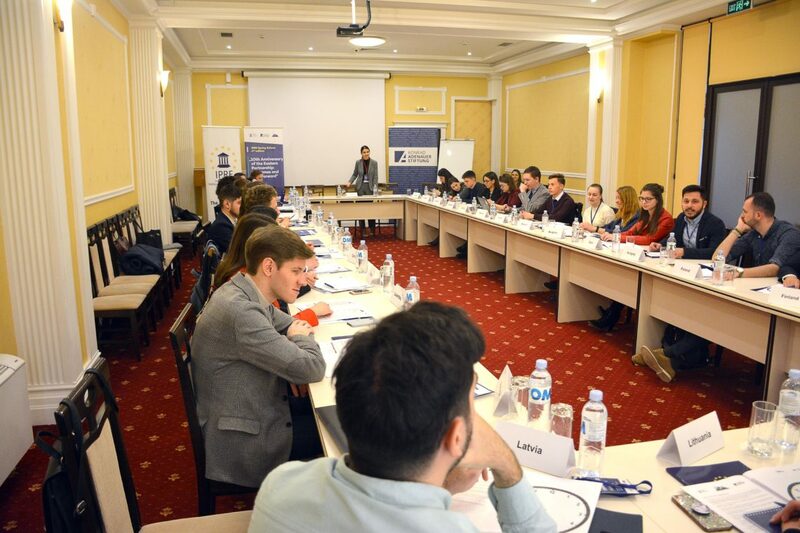 We have learned how to mediate differences in positions, while taking into account the interests of each party. 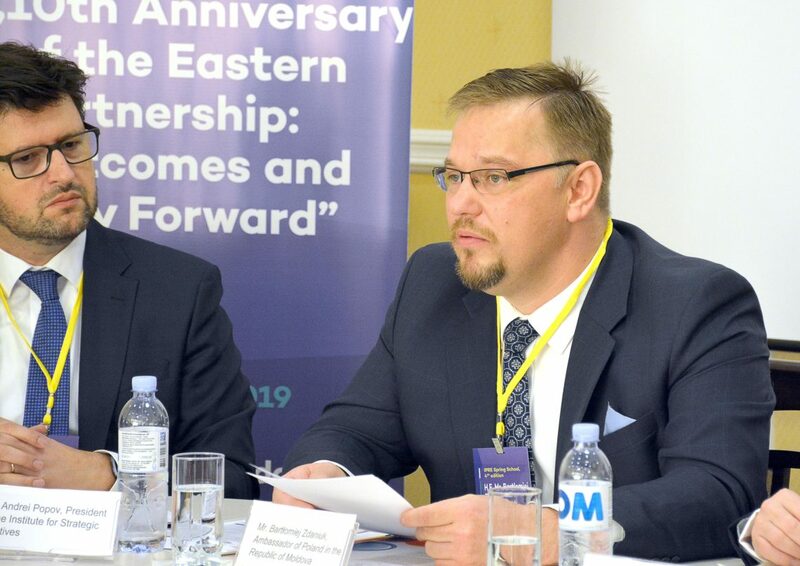 It’s quite a difficult thing, because we have almost 30 countries that are part of the EU and also the Eastern Partnership”, said Vladislav Kaim. 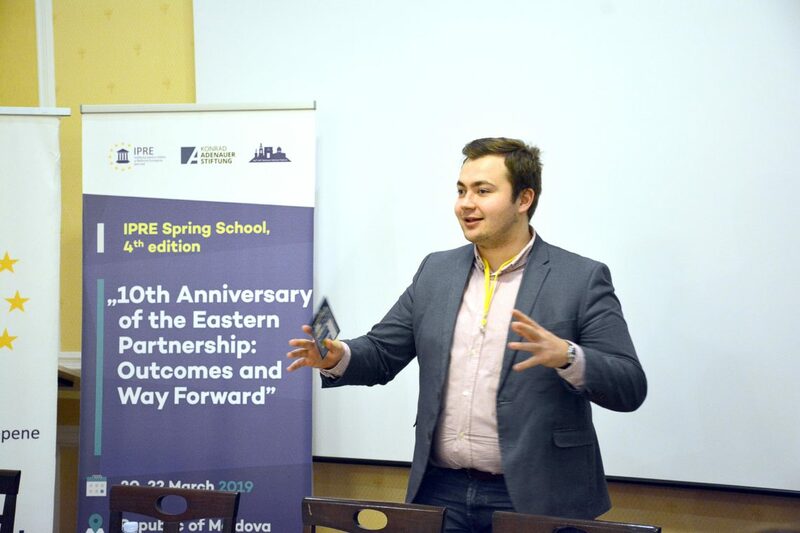 On the last day of the event, the participants developed and approved a final Joint Communique, that included an assessment on the key outcomes and proposals for the future of the Eastern Partnership beyond 2020. All participants were also awarded a certificate of participation. 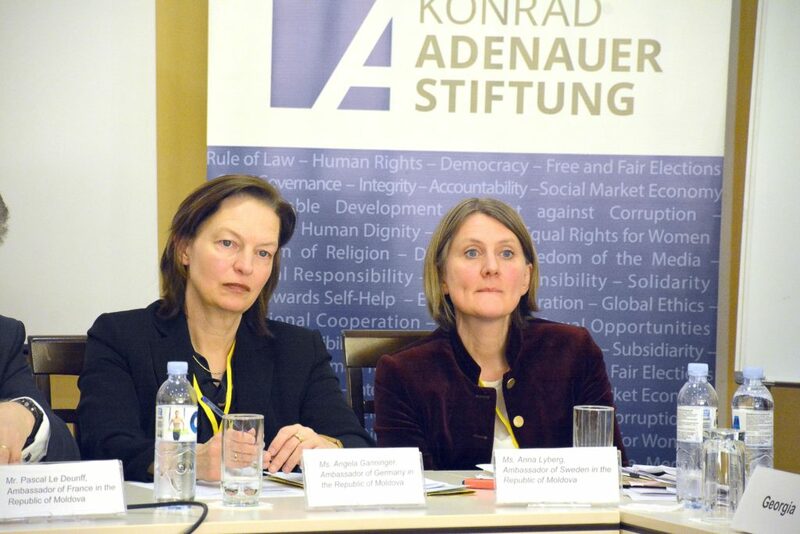 For more details, see the final Joint Communique here. 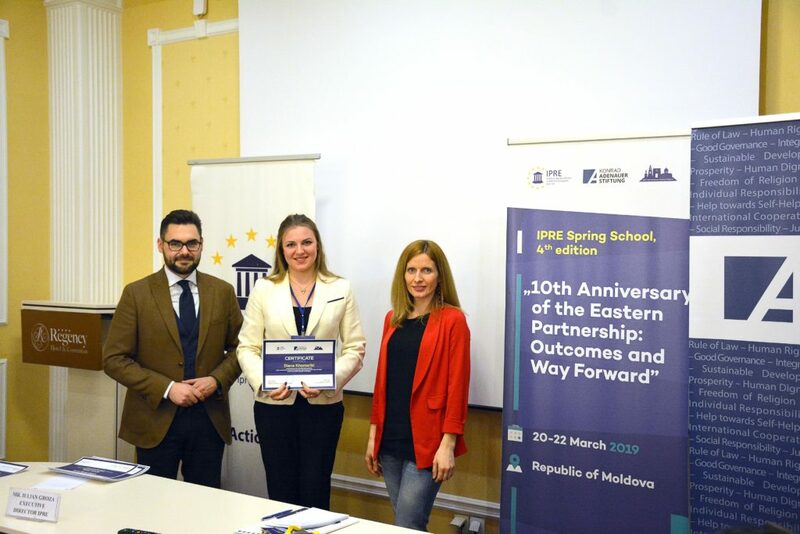 The 4thEdition IPRE Spring School „10thAnniversary of Eastern Partnership: Outcomes and The Way Forward” was organized by the Institute for European Policies and Reforms (IPRE) in partnership with Moldovan National Platform of the Eastern Partnership Civil Society Forum and with the support from Konrad Adenauer Foundation (KAS).